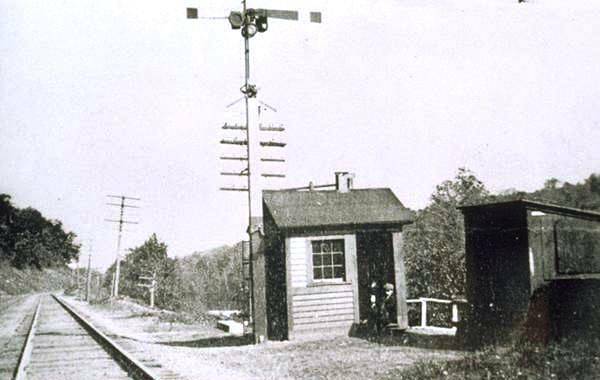 The switch shanty marked the start of single track from here in BOLTON eastward to STEELES. 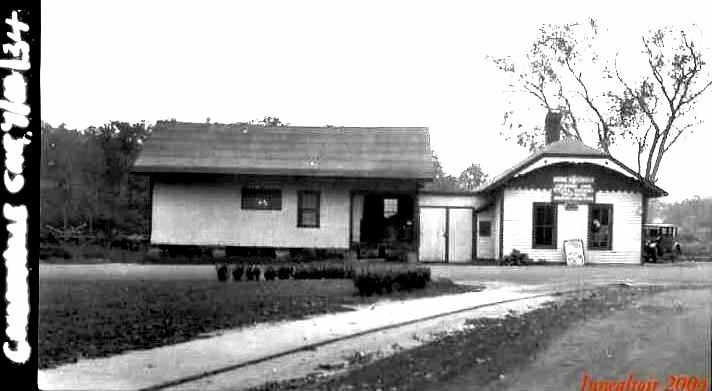 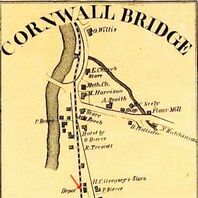 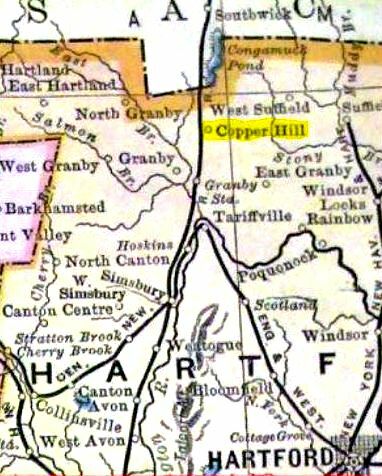 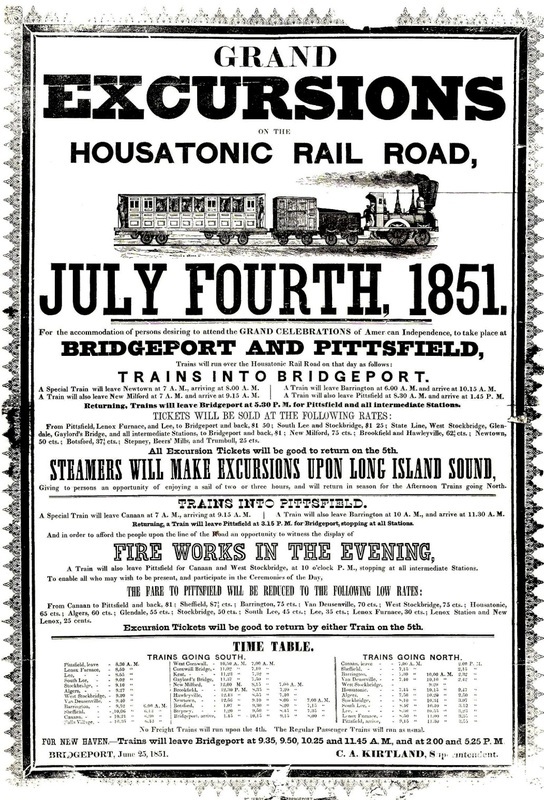 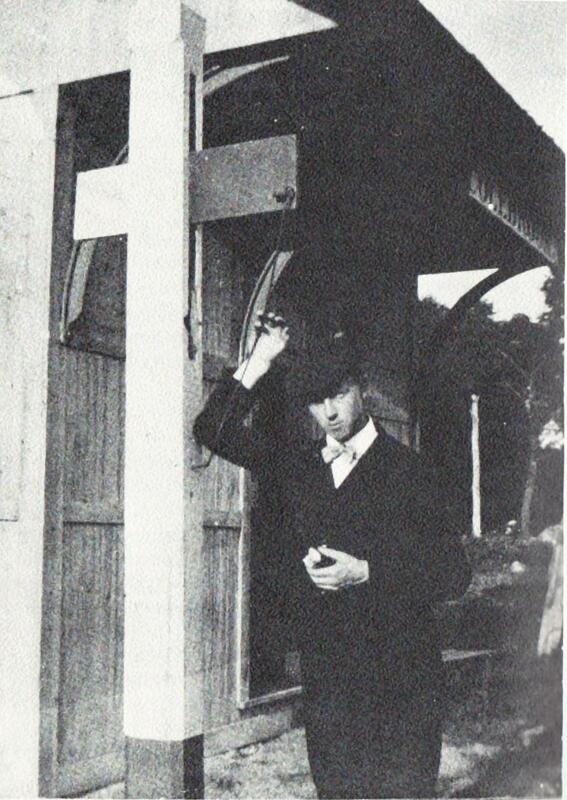 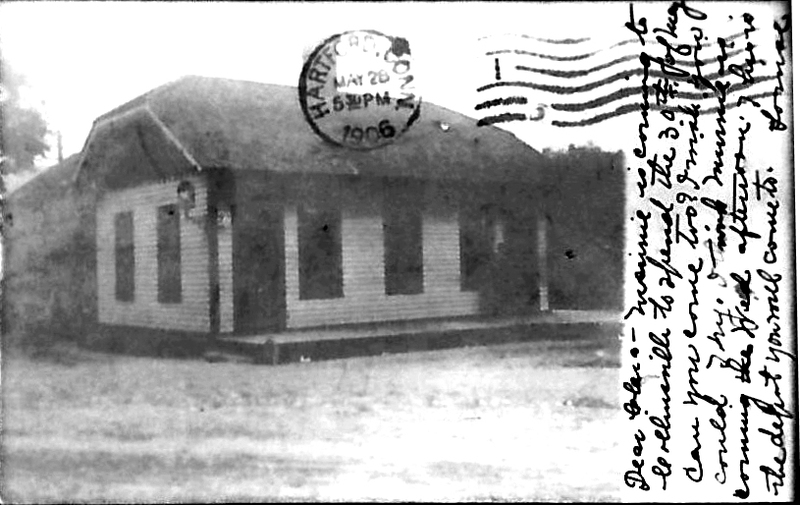 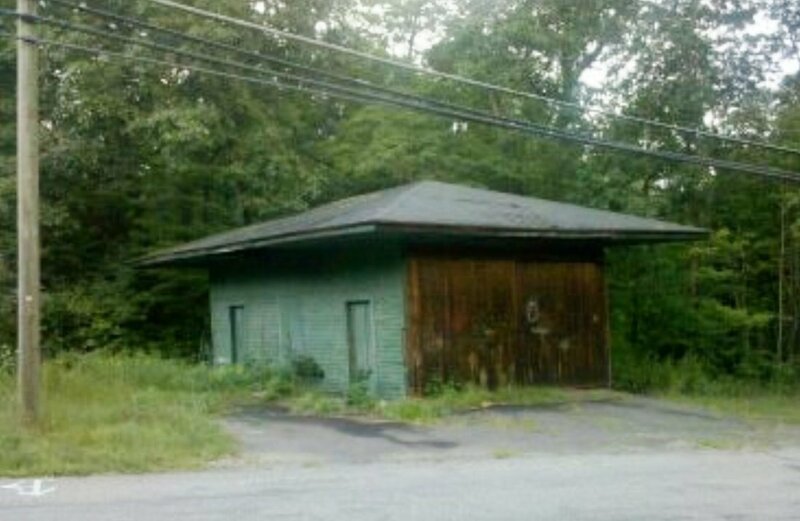 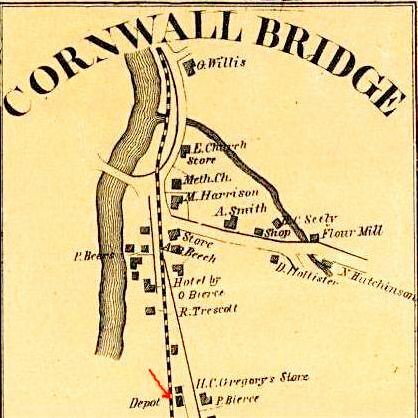 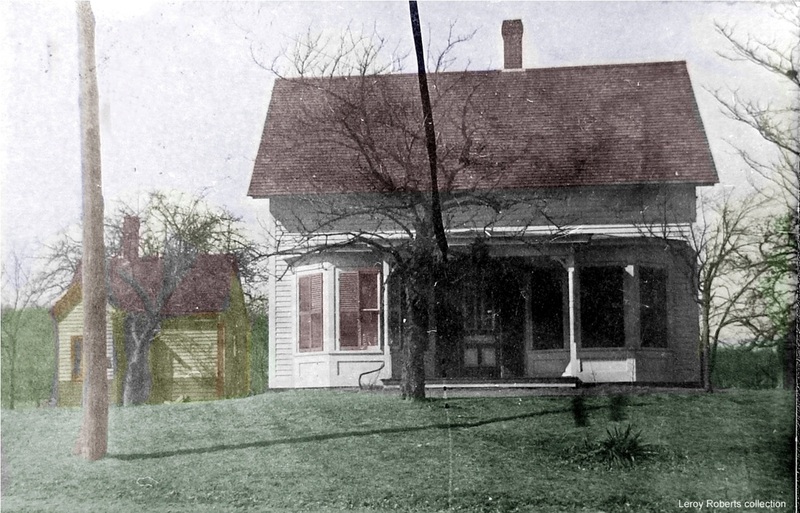 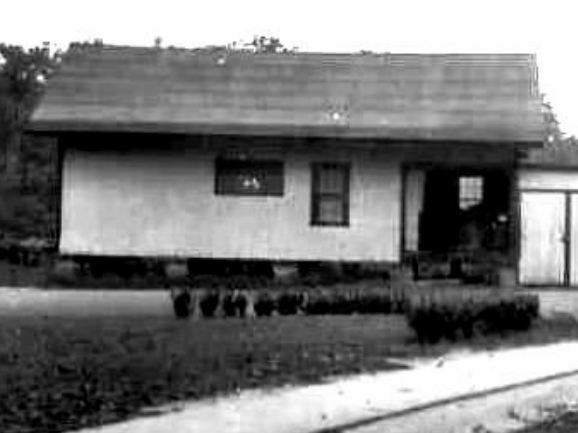 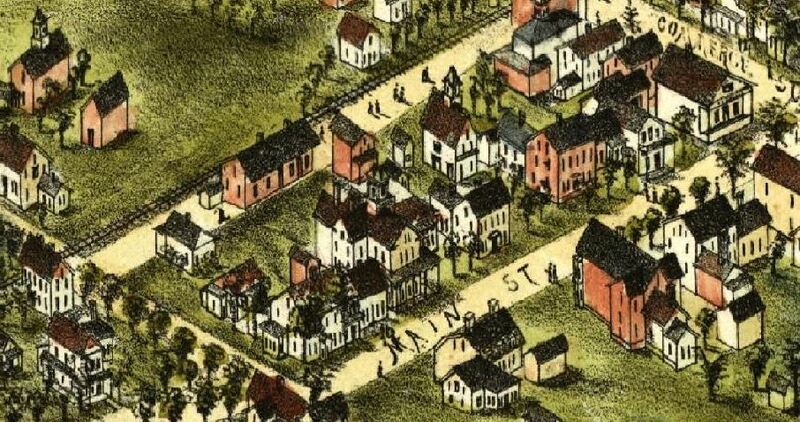 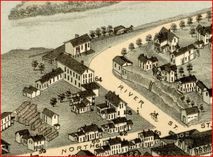 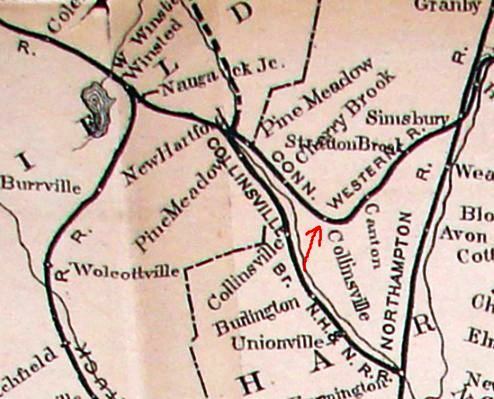 In later NYNH&H days, a nearby recreational cottage was used by railroad officials, hence the name of this location. 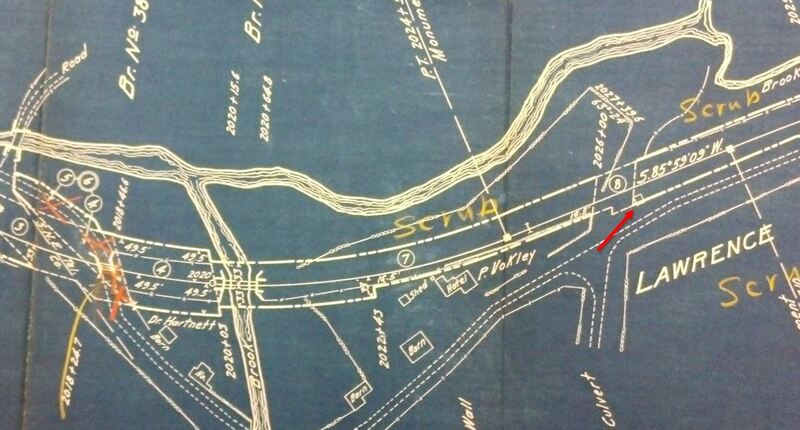 The precise origins of this point are something we would like to find more about. 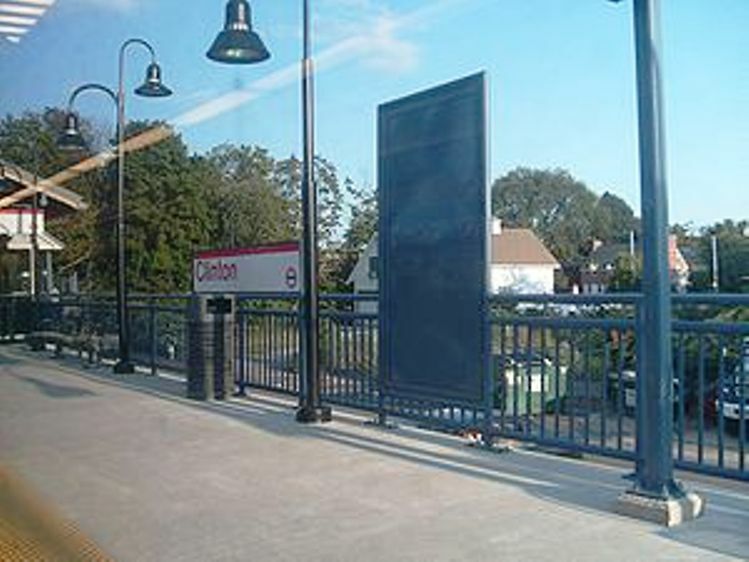 This was not a regular passenger stop that we know of but we have yet to check all our timetables. 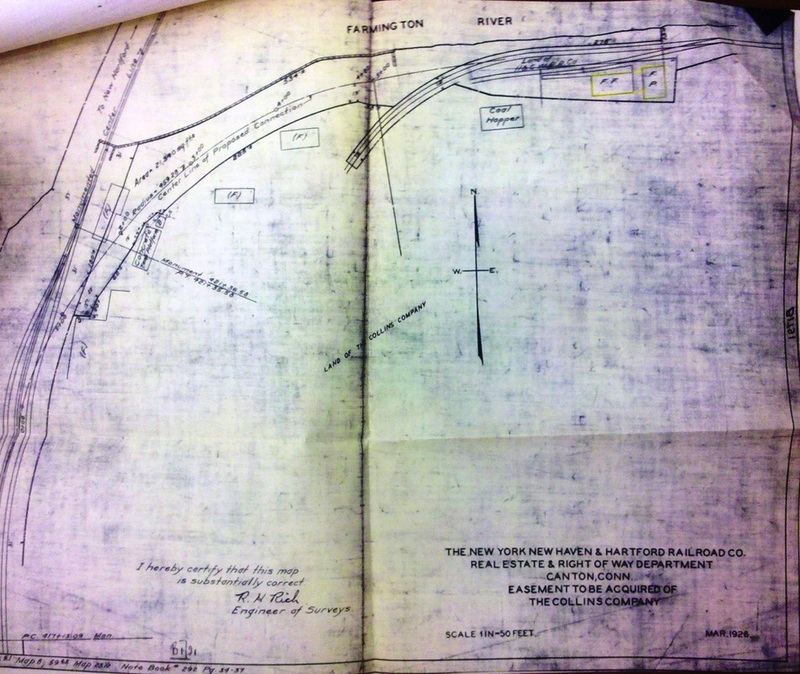 UConn Archives & Special Colls. 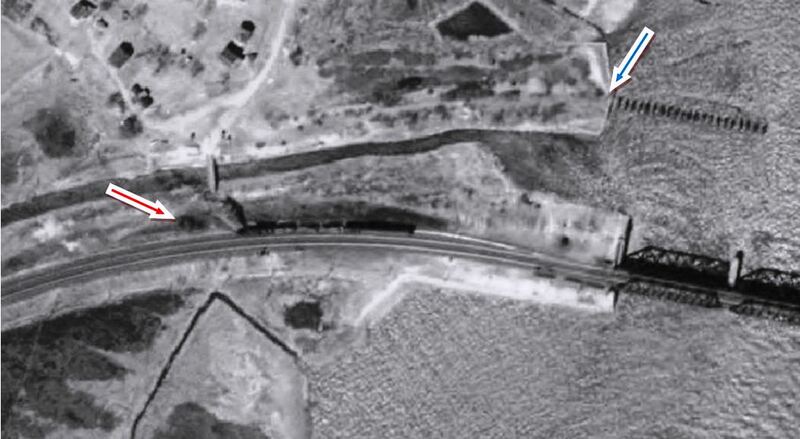 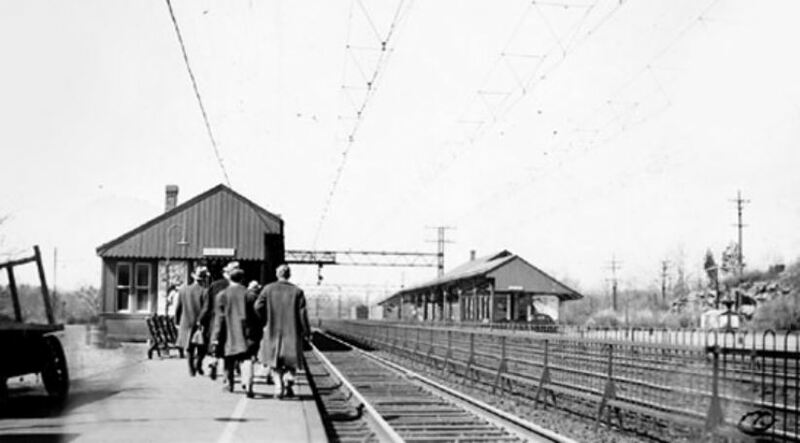 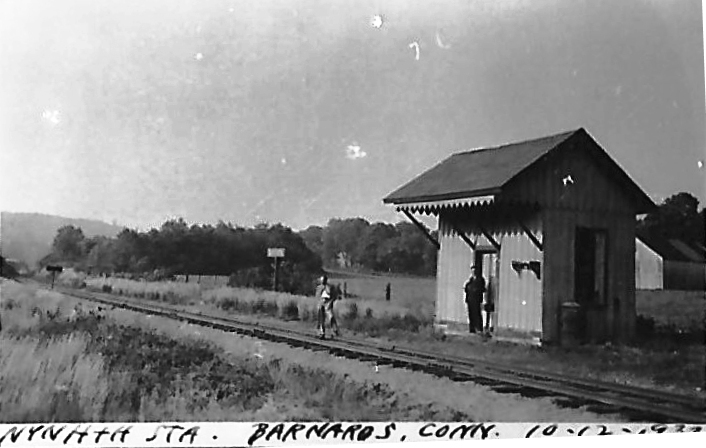 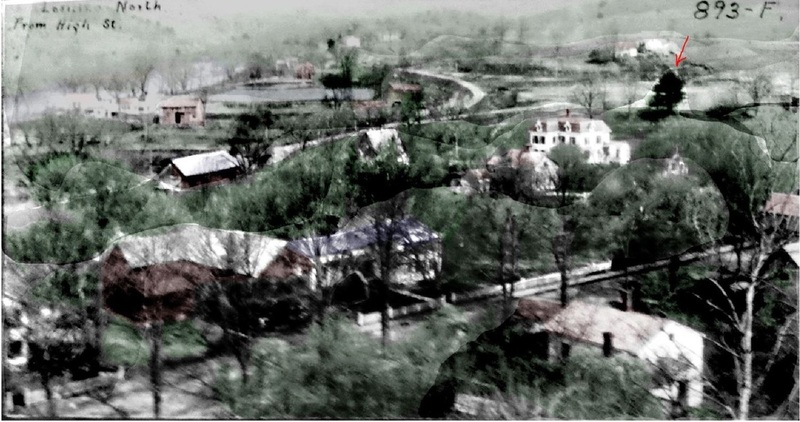 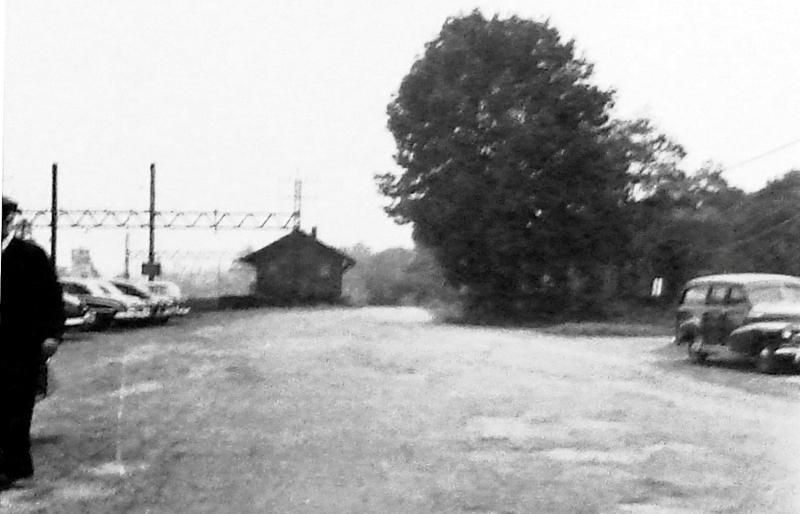 The August, 1954 photo of the westbound station at left is attributed to Charlie Gunn. 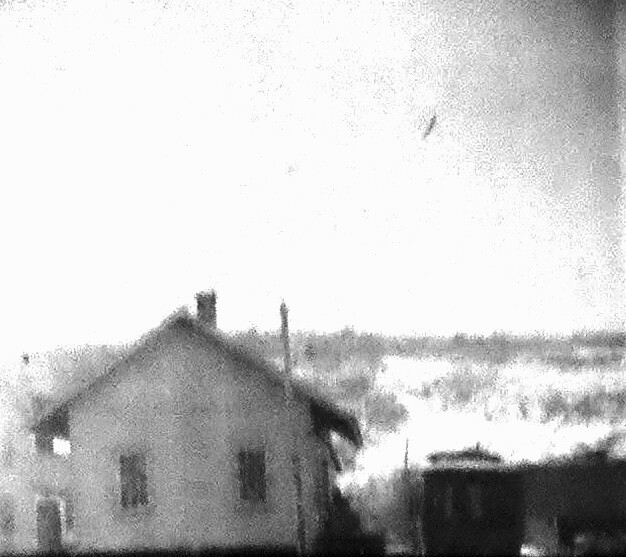 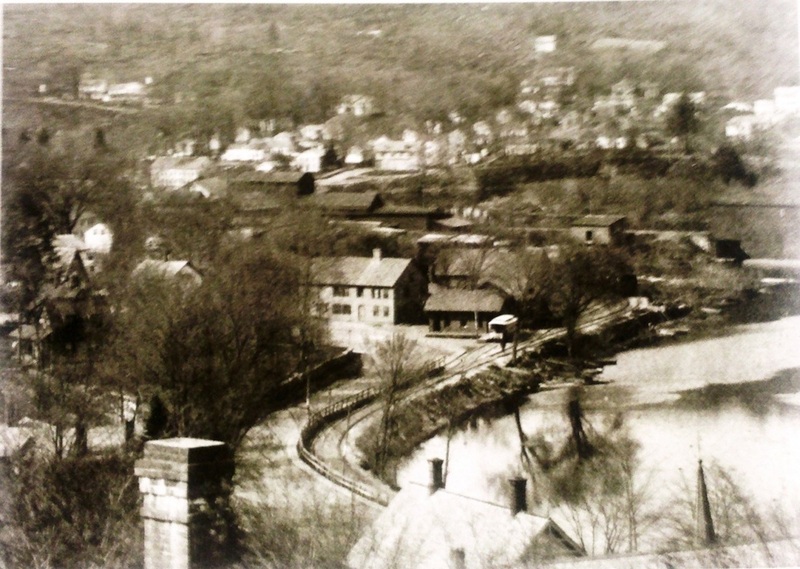 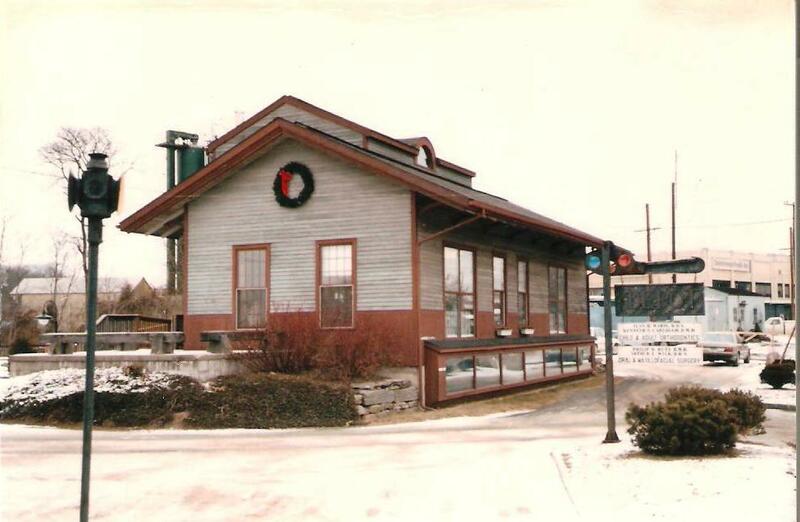 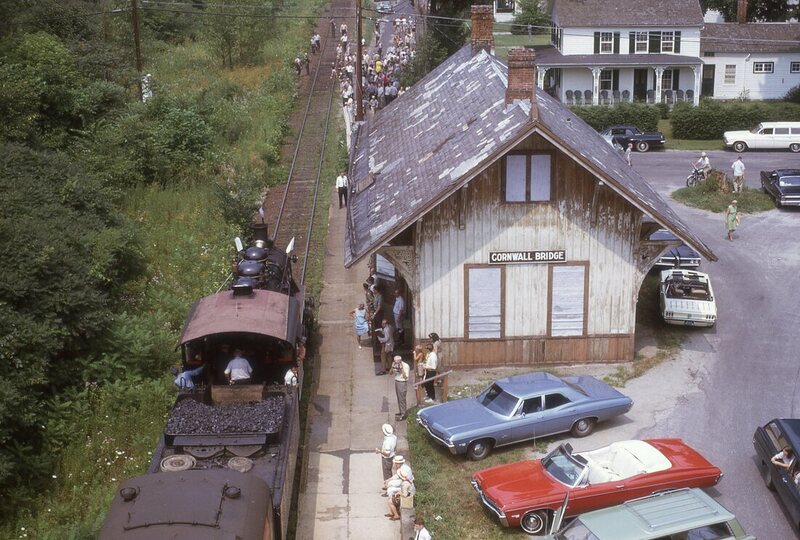 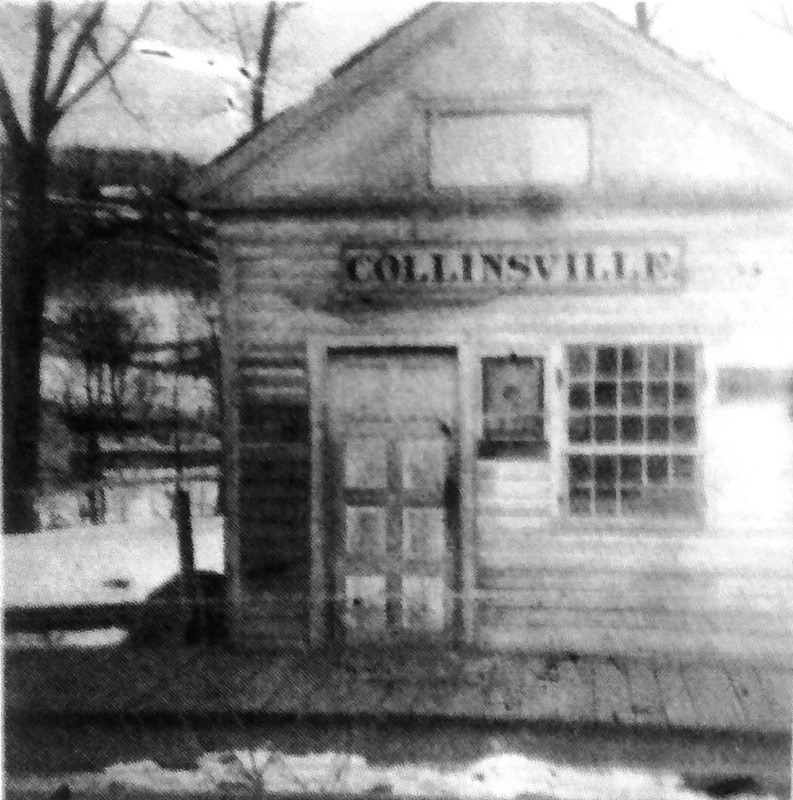 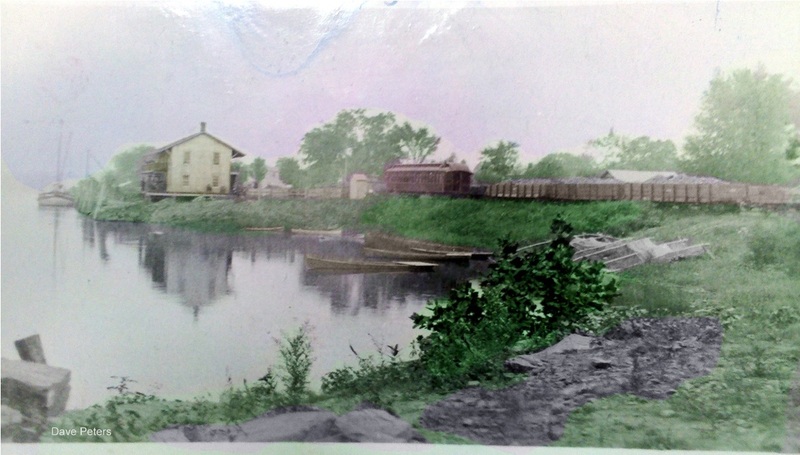 COS COB2, now the freight house, is in the distance. 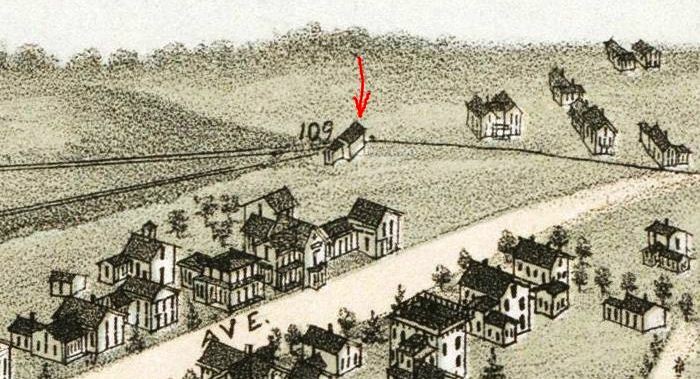 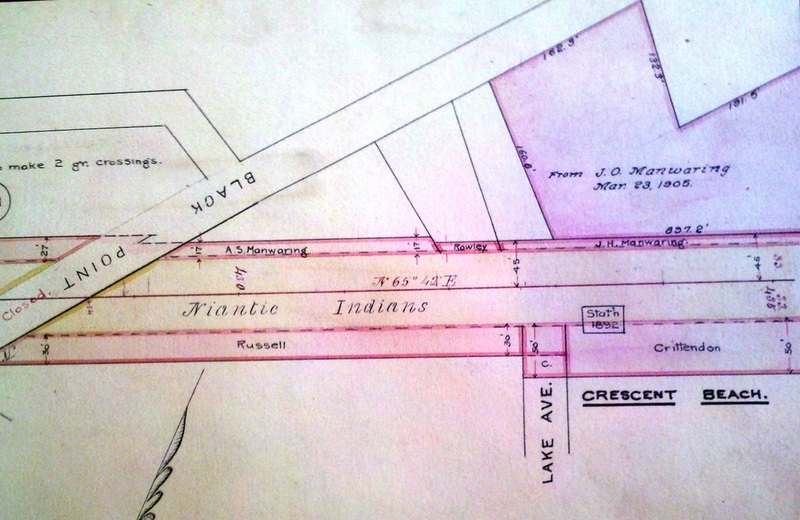 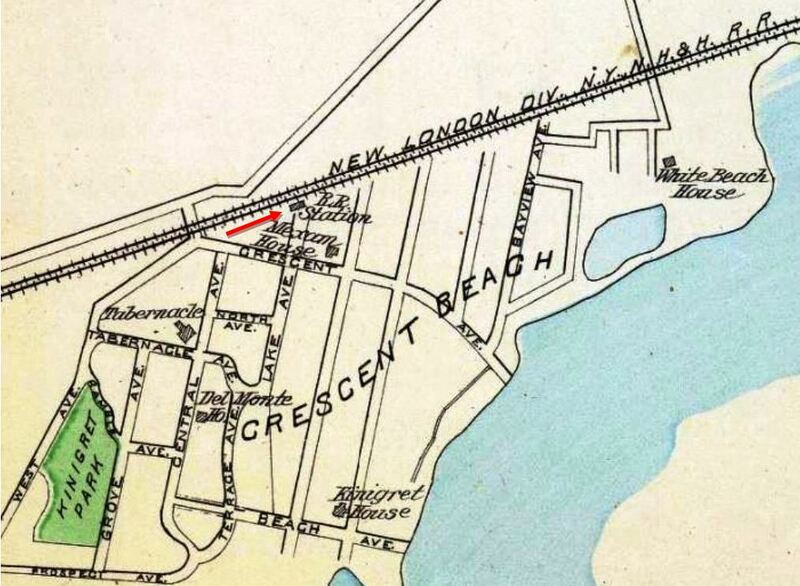 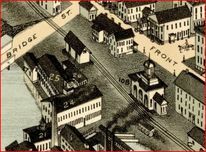 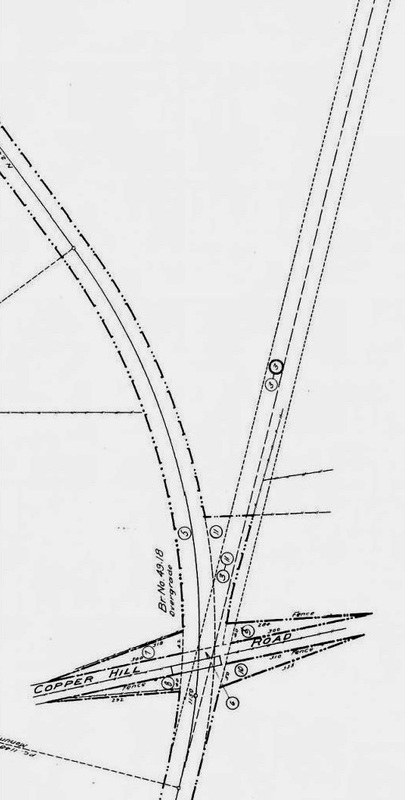 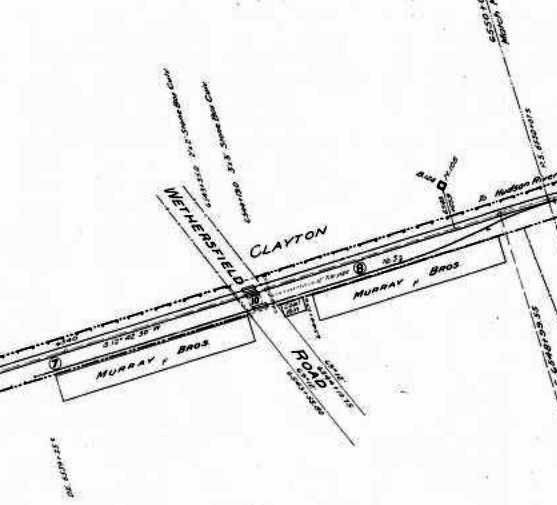 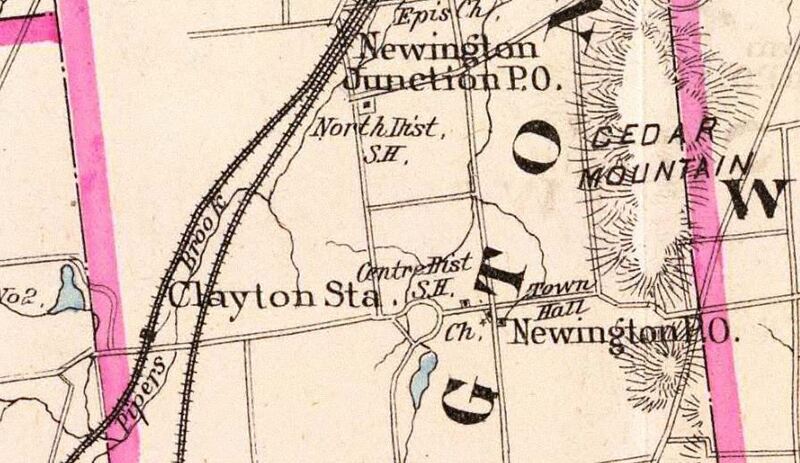 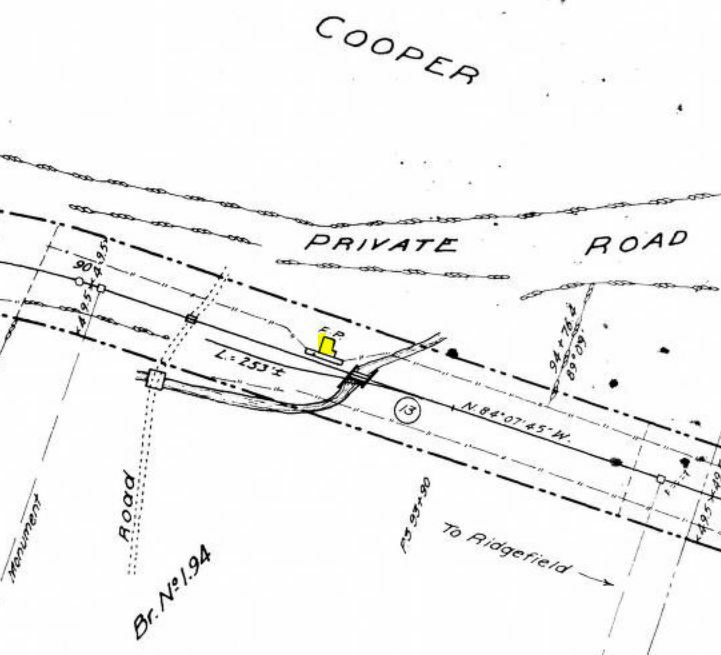 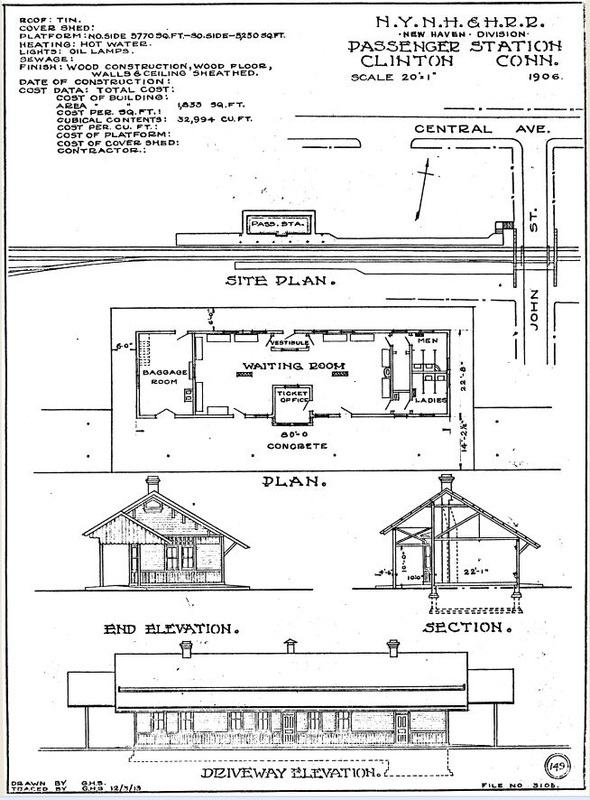 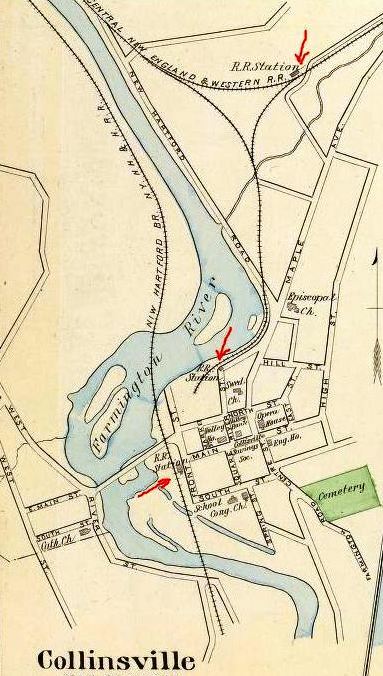 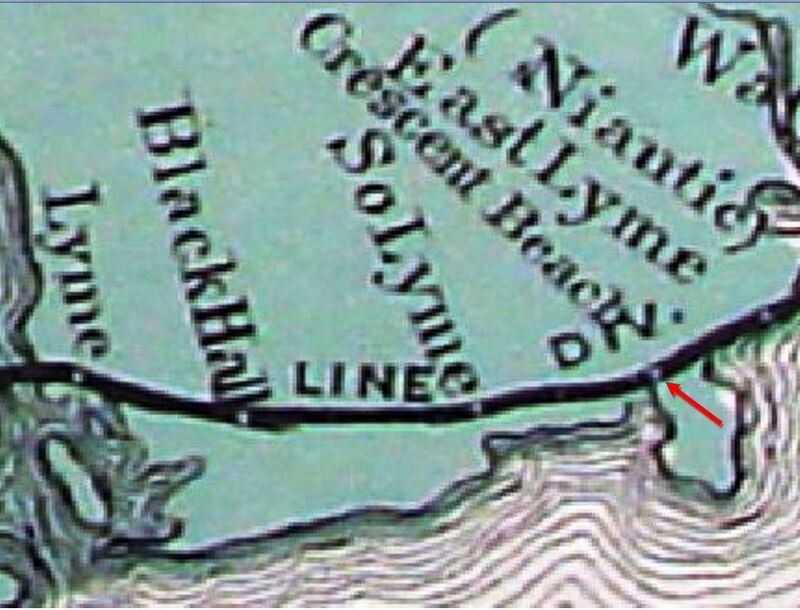 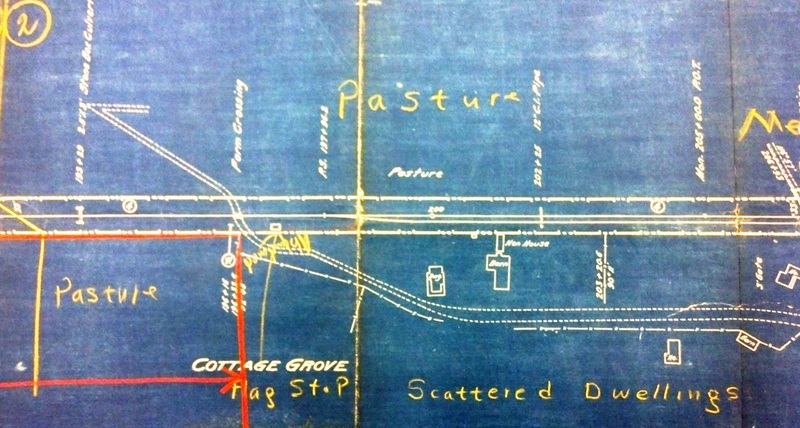 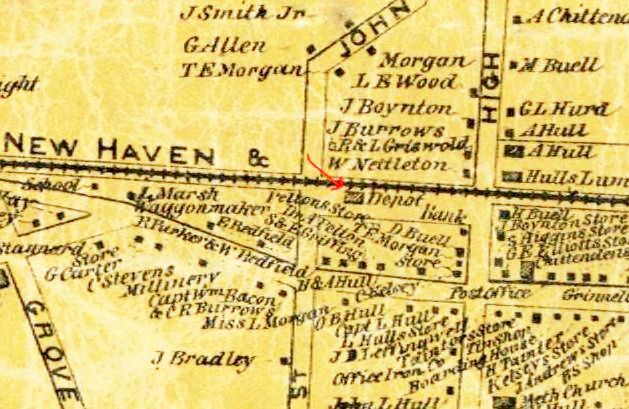 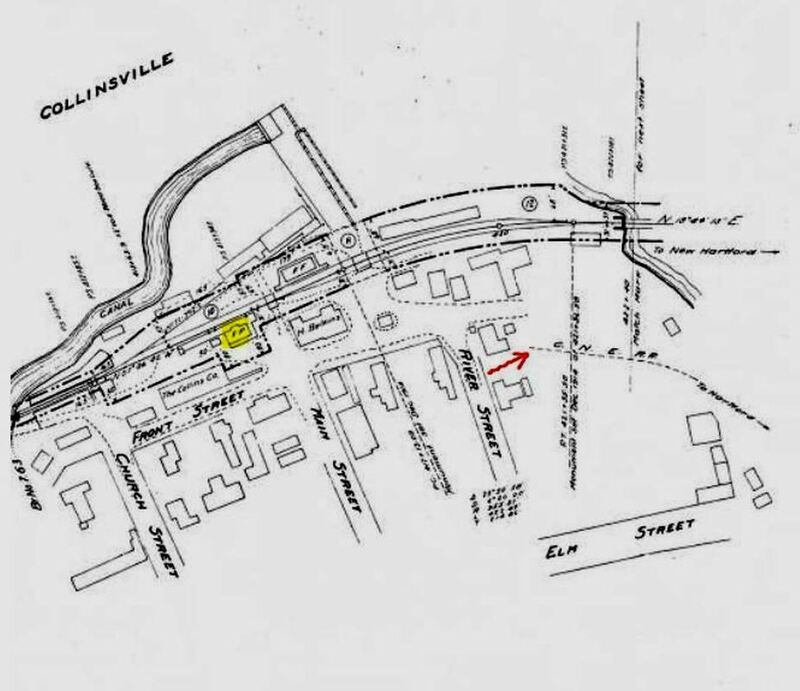 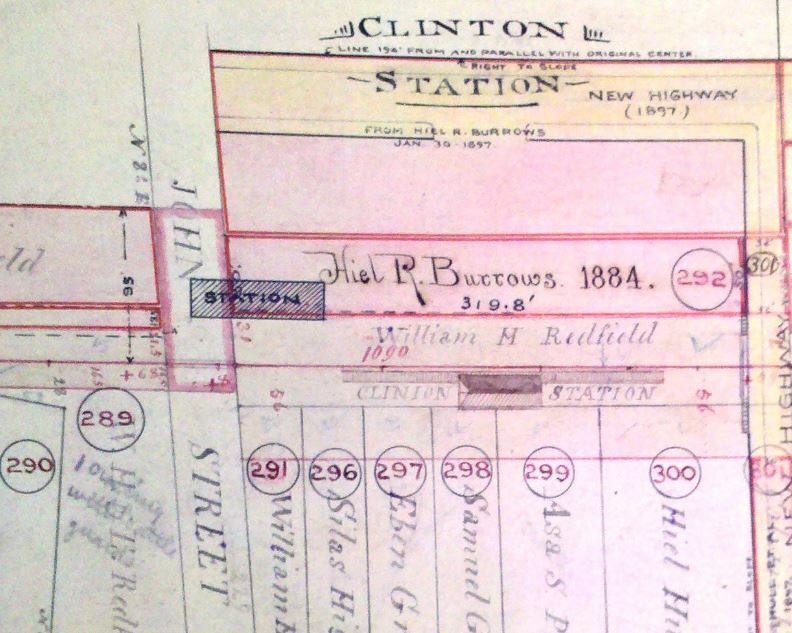 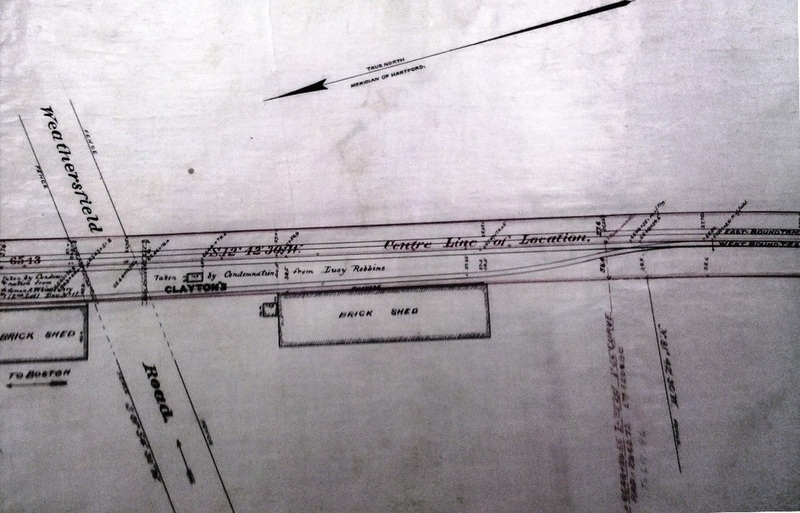 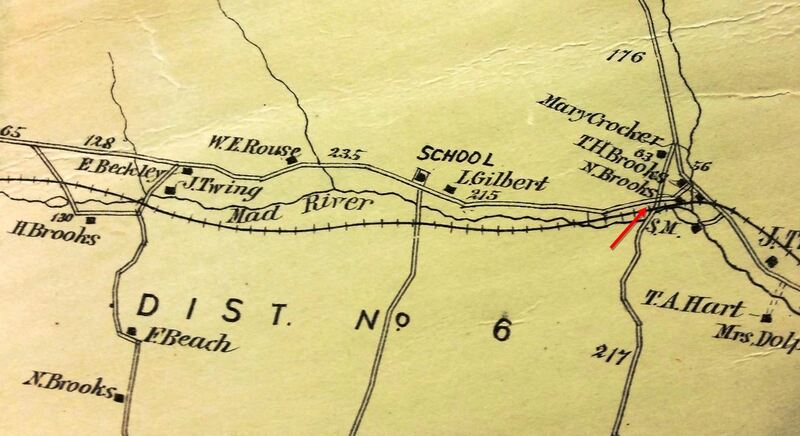 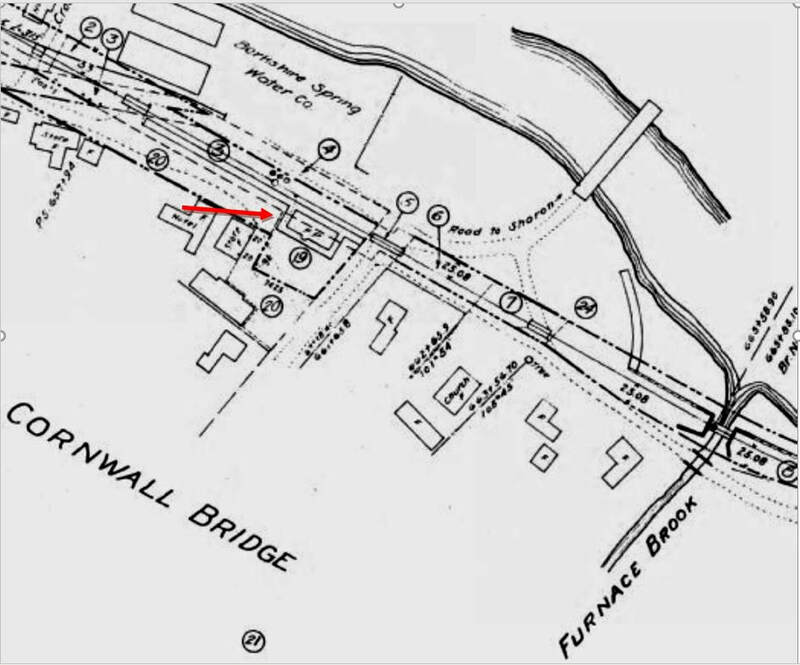 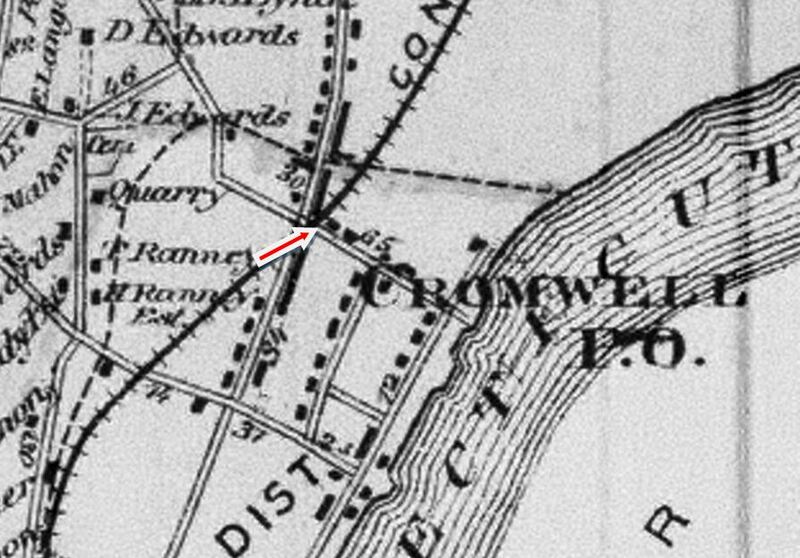 The 1913 map shows the location of this station on the north side of the tracks. 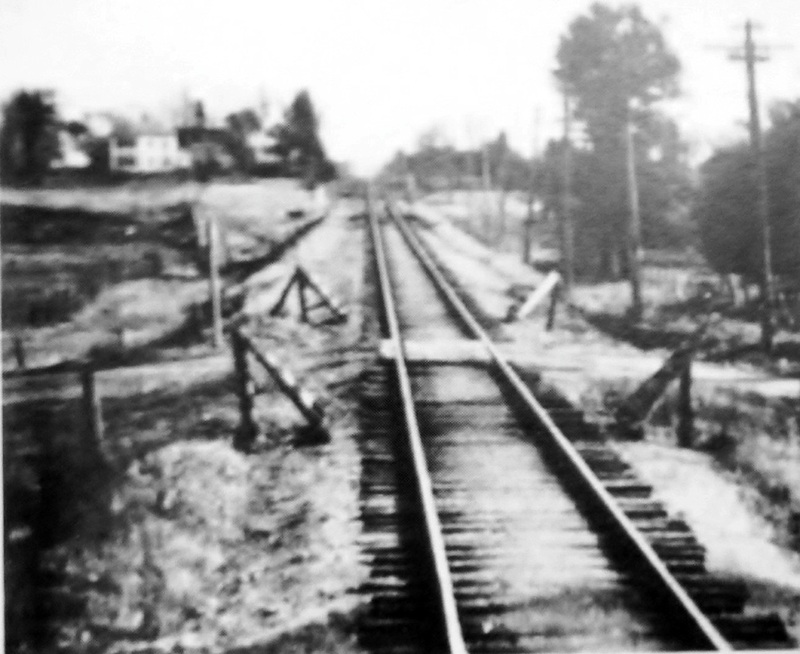 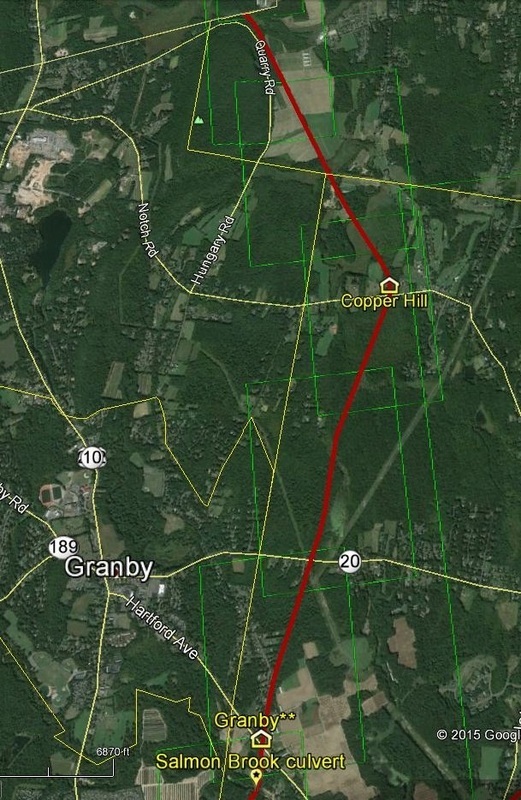 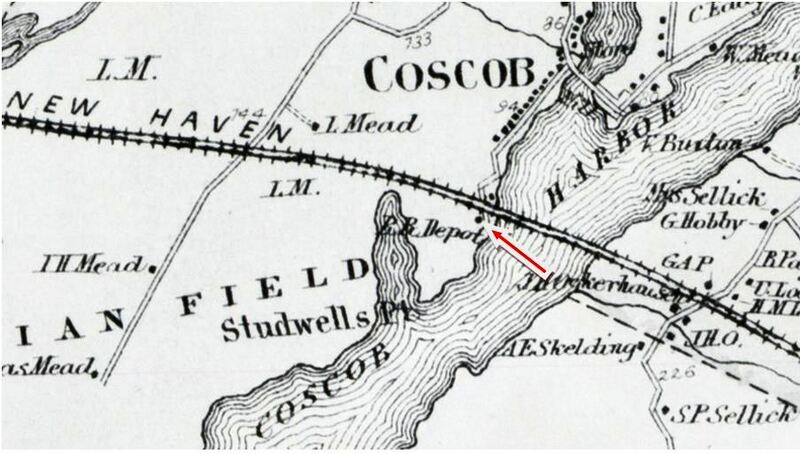 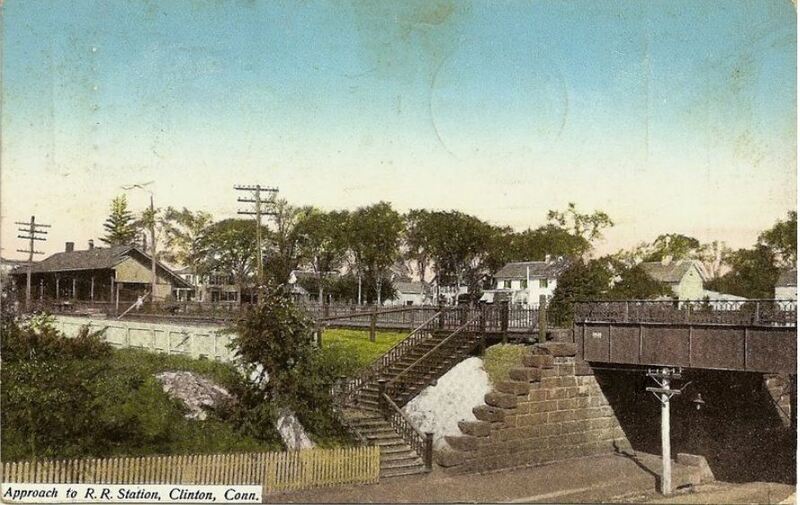 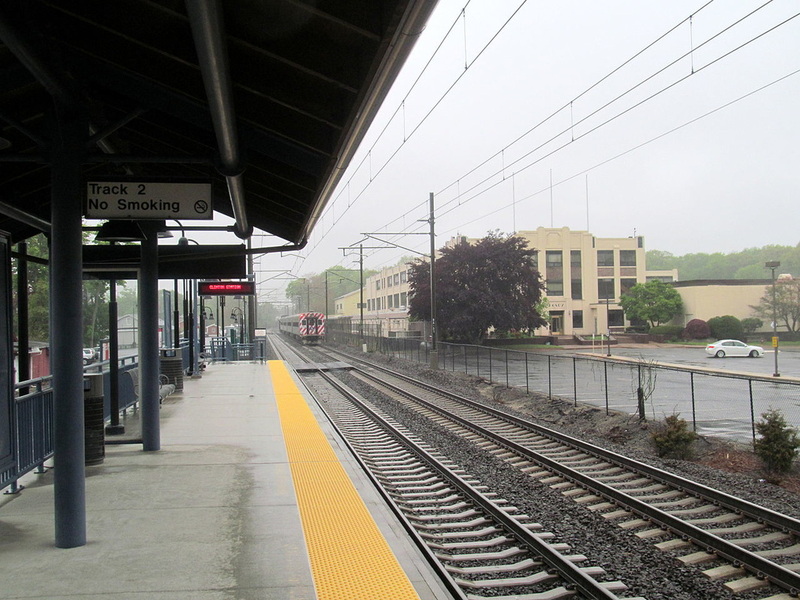 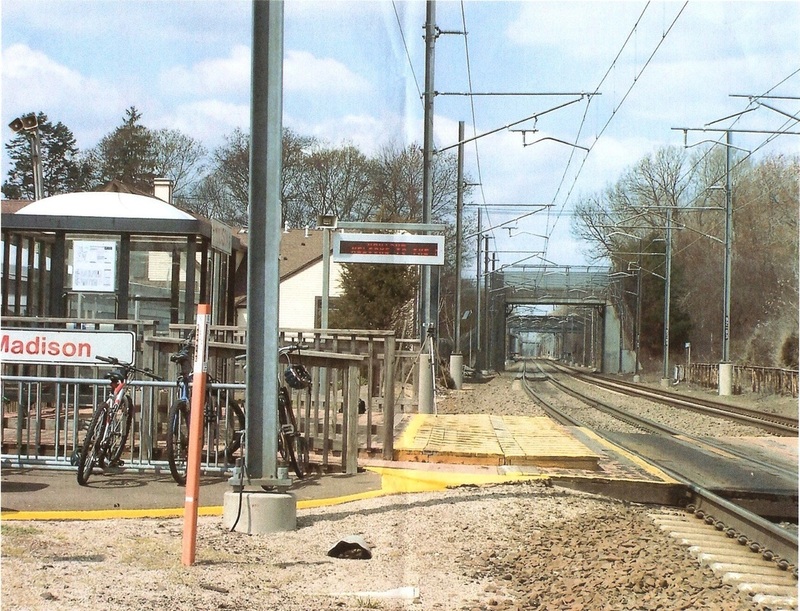 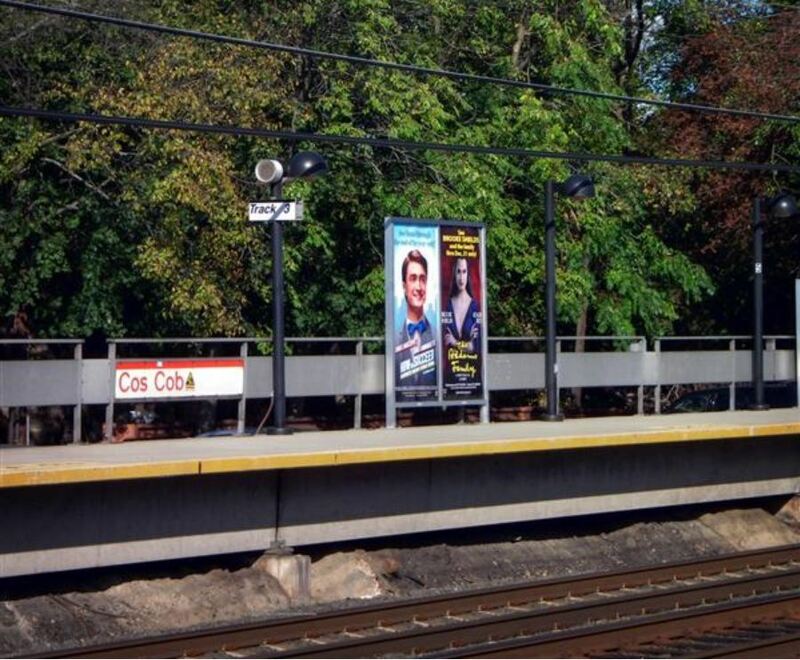 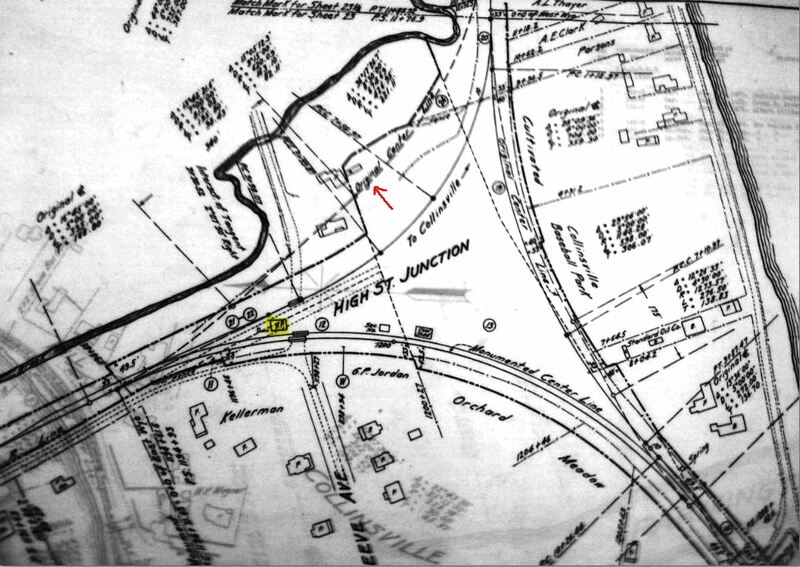 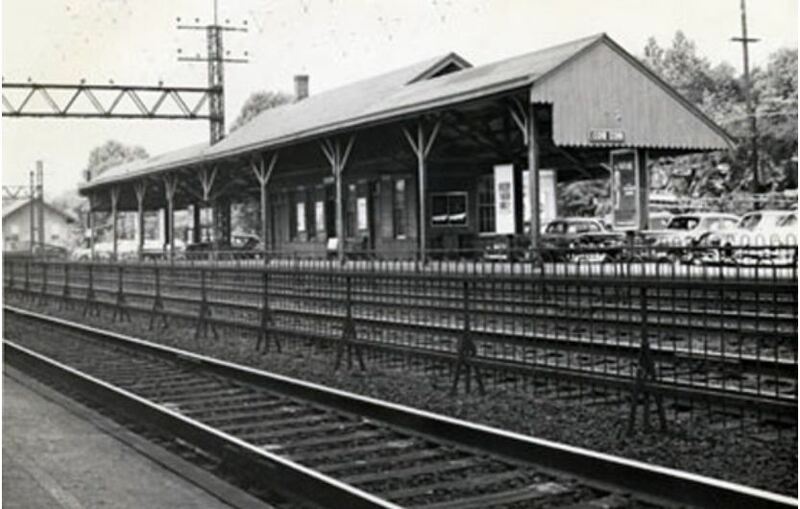 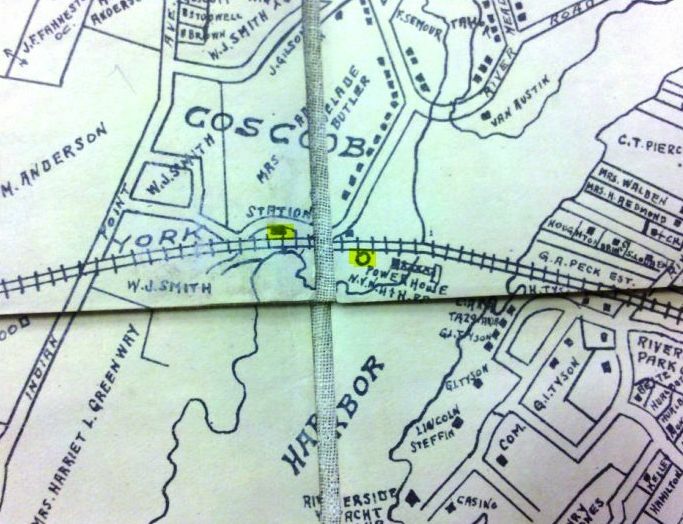 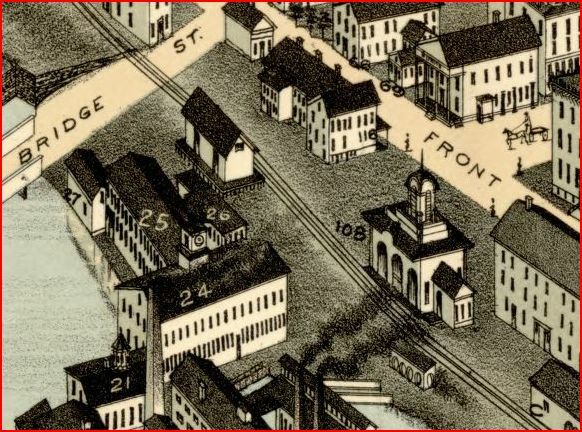 We know from the picture below that COS COB4 was on the other side of the tracks but the map omits it. 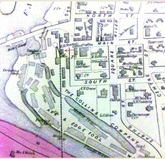 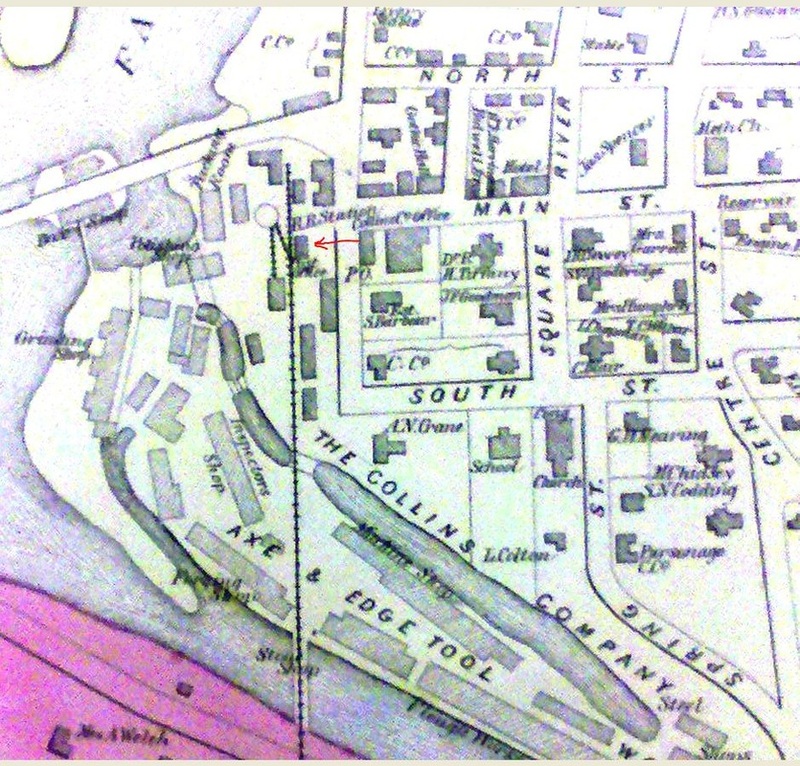 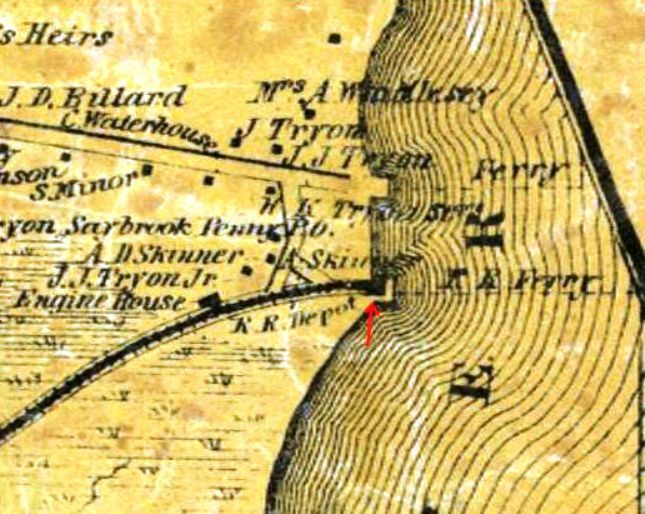 The Cos Cob power plant is marked on the map by the circle to the right on the edge of the harbor. 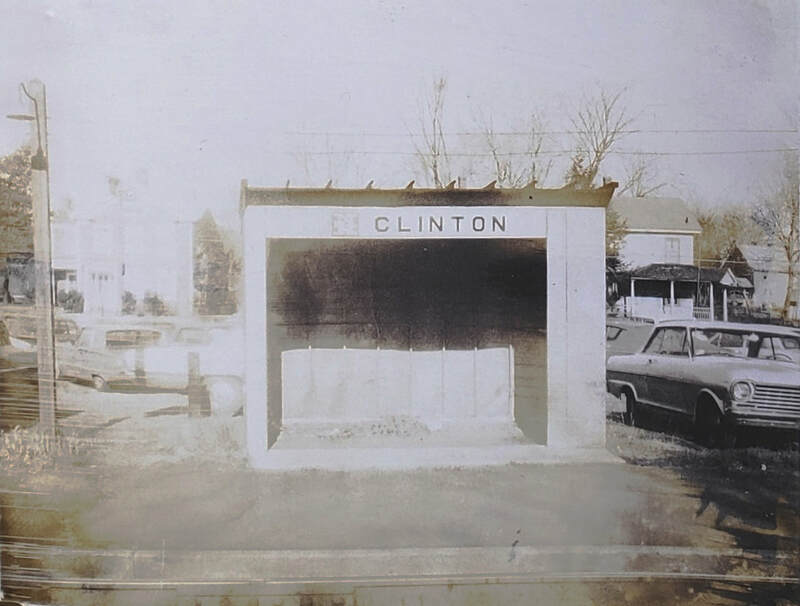 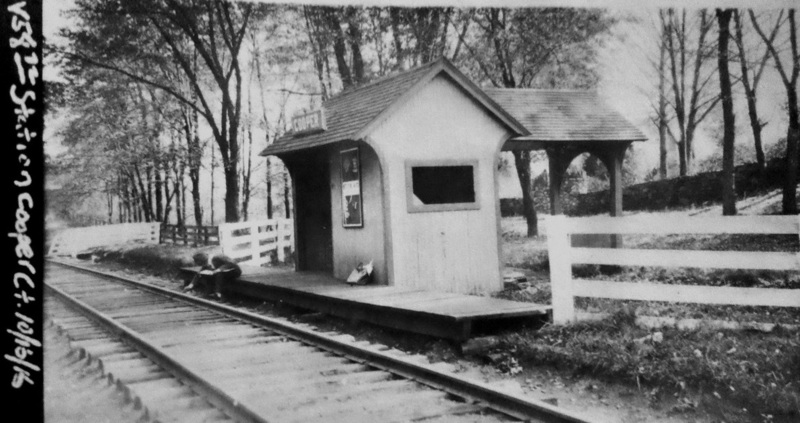 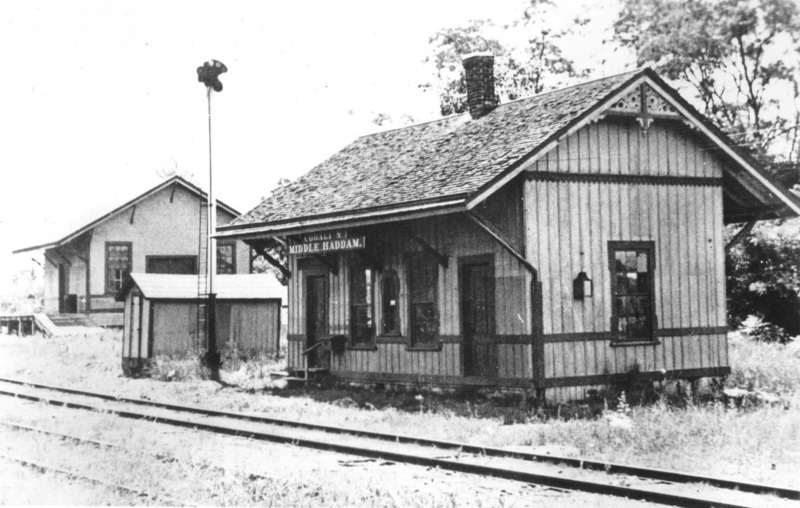 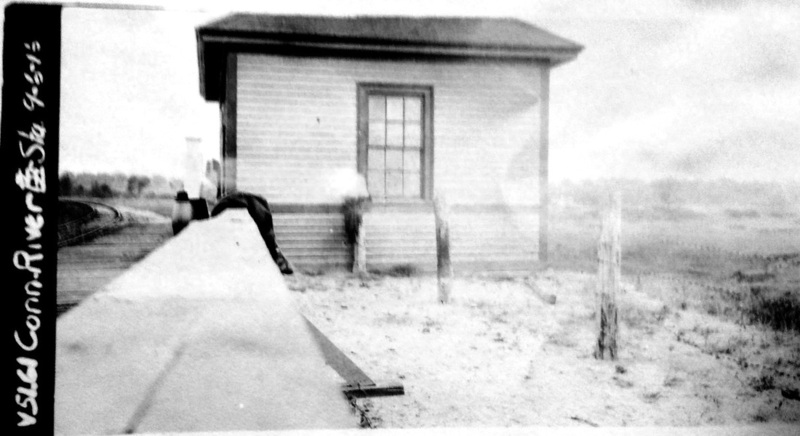 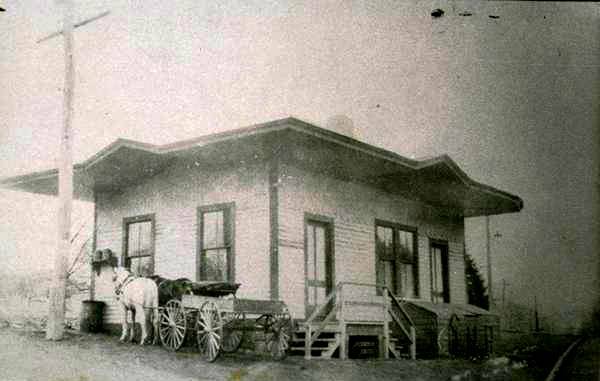 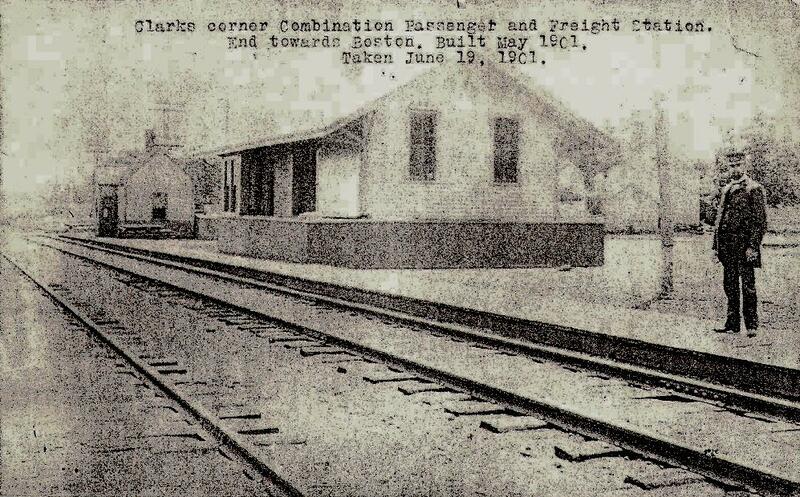 This saltbox style station was built with the four-tracking of 1894 and received an NRHP designation in 1989. 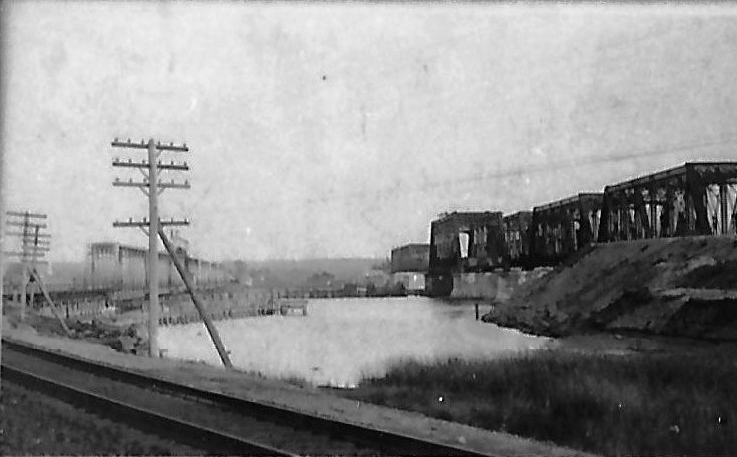 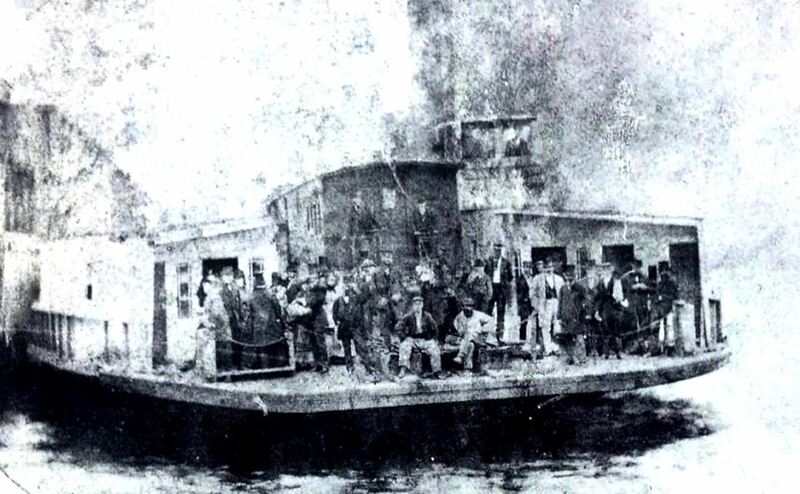 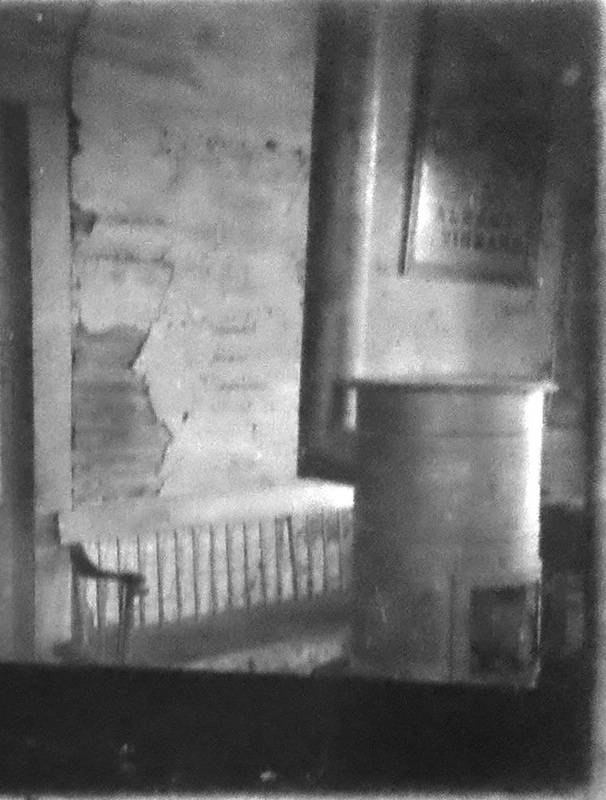 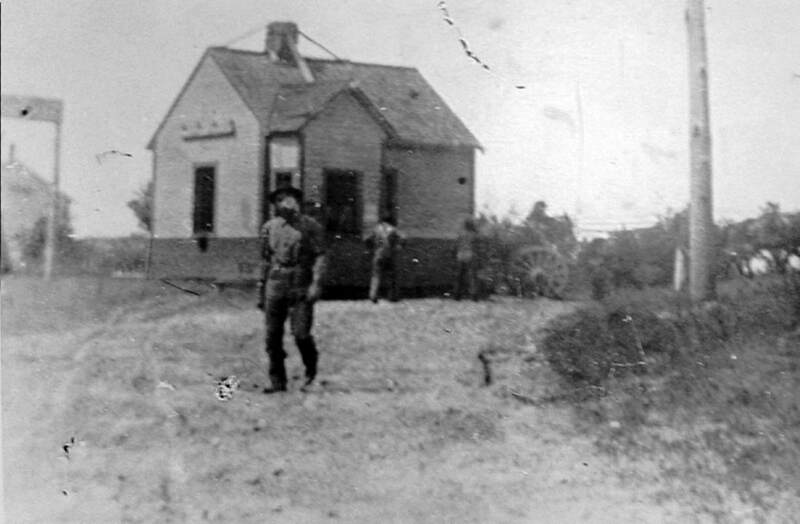 The val photo at right is dated 10/30/1916. 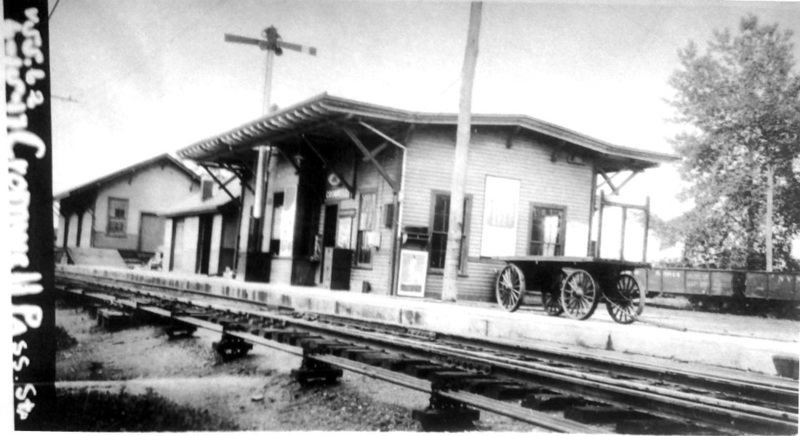 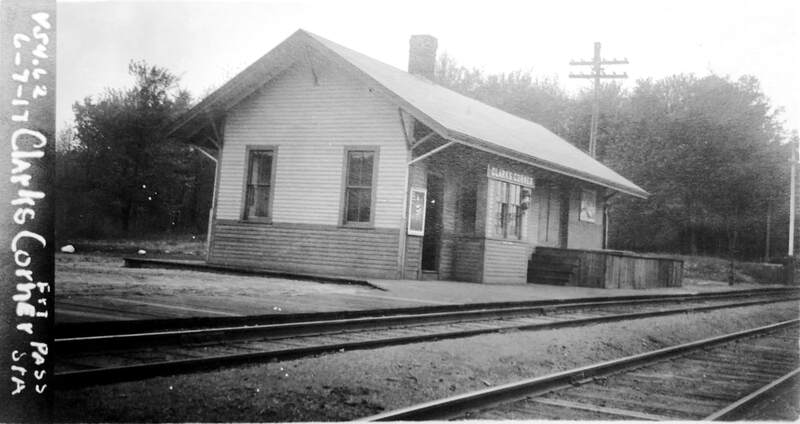 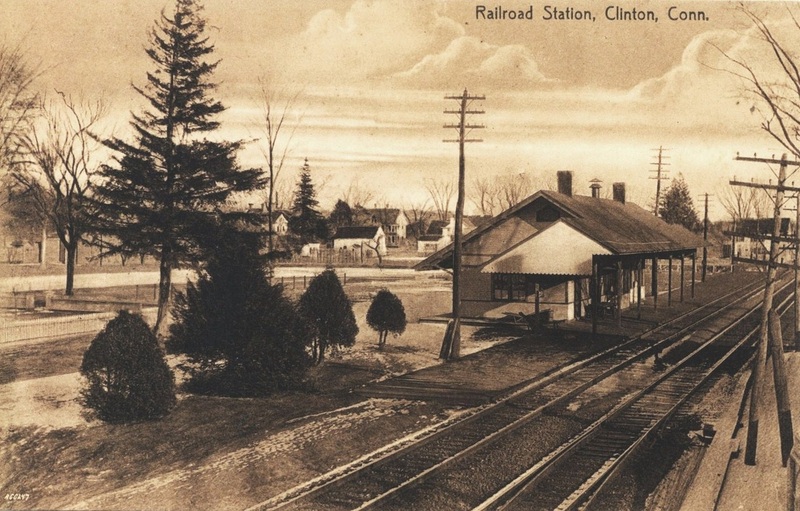 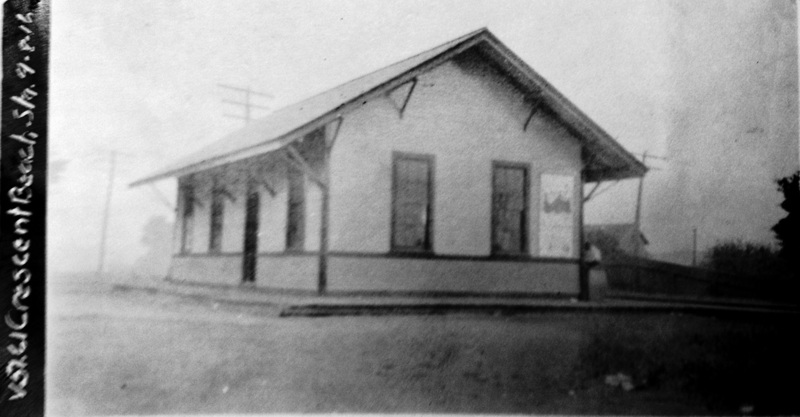 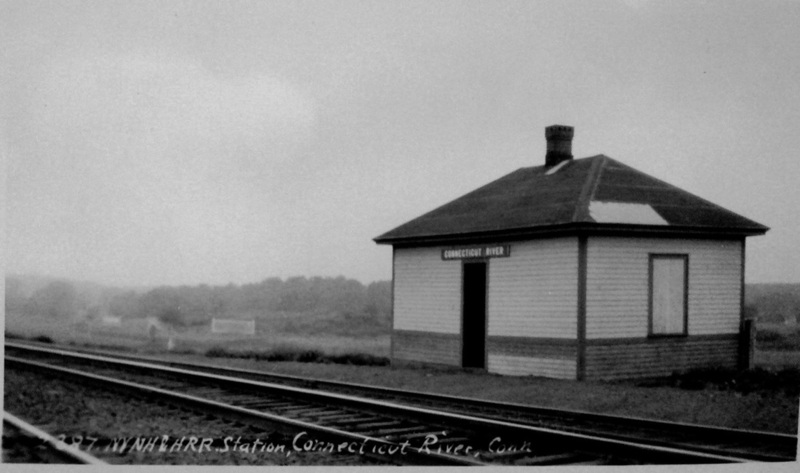 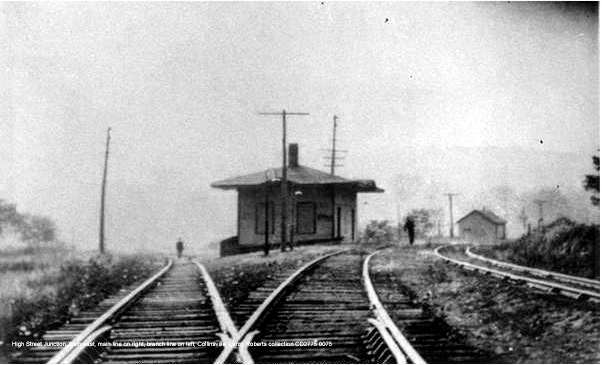 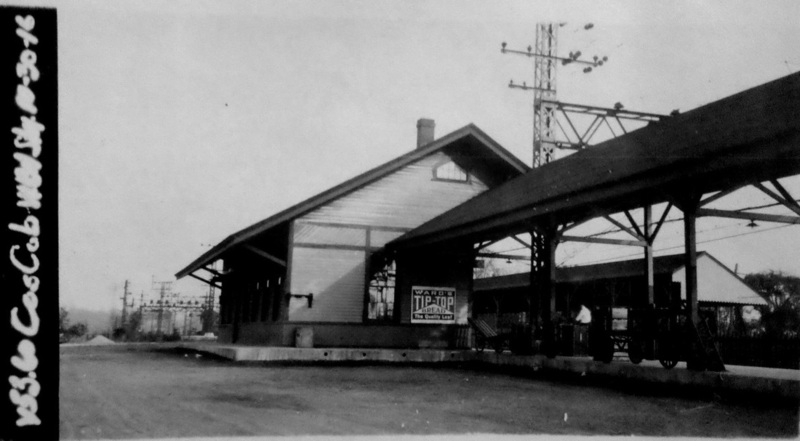 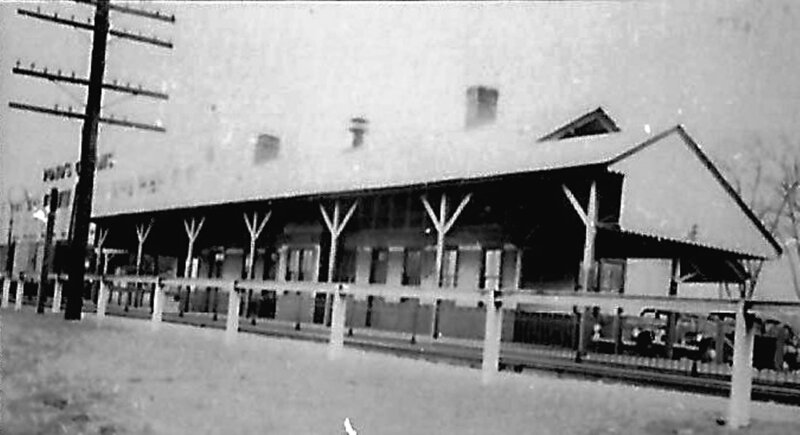 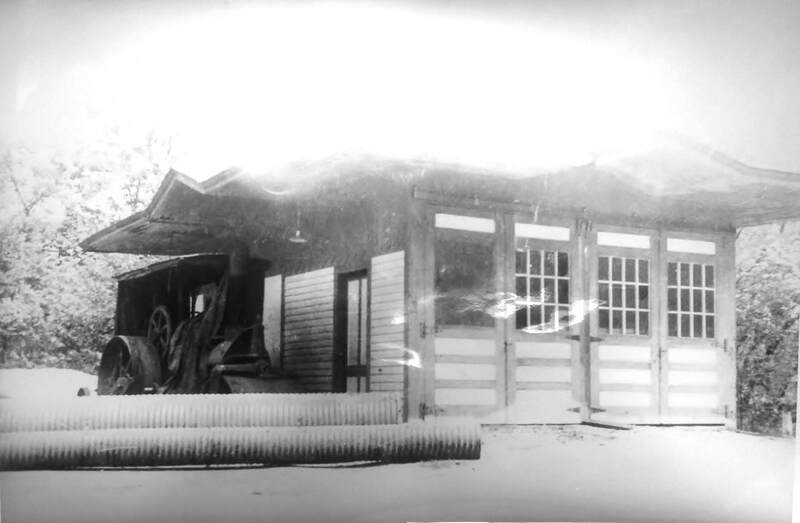 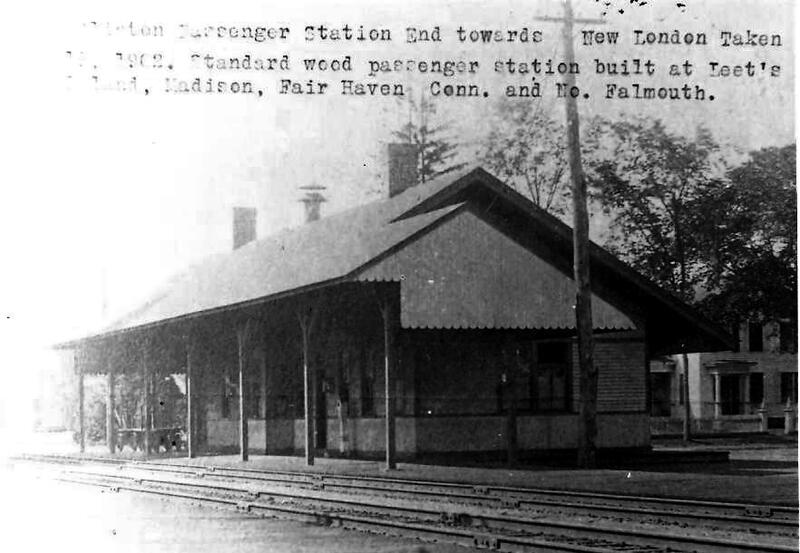 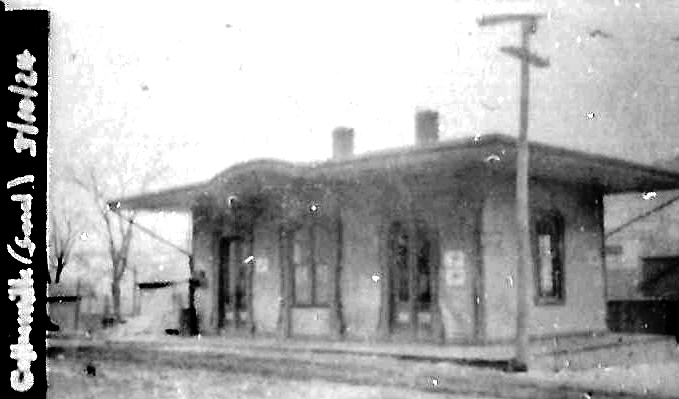 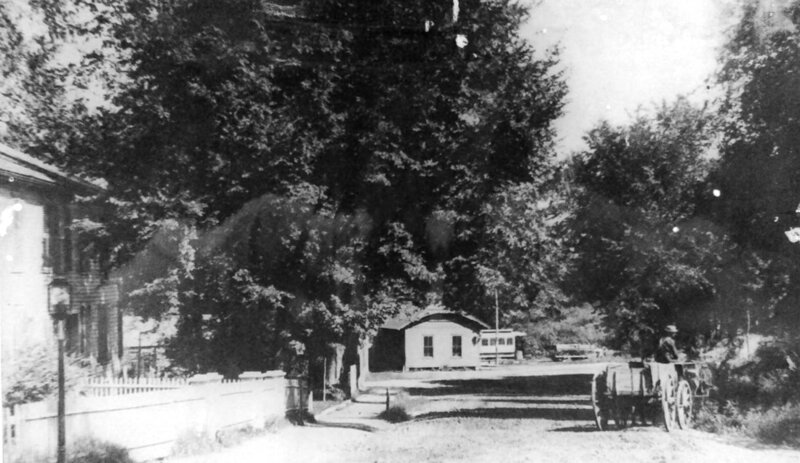 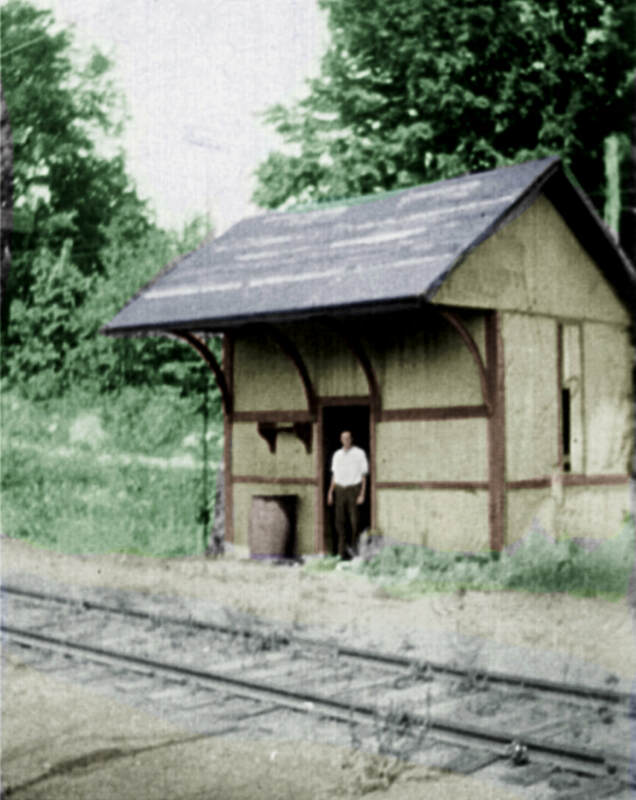 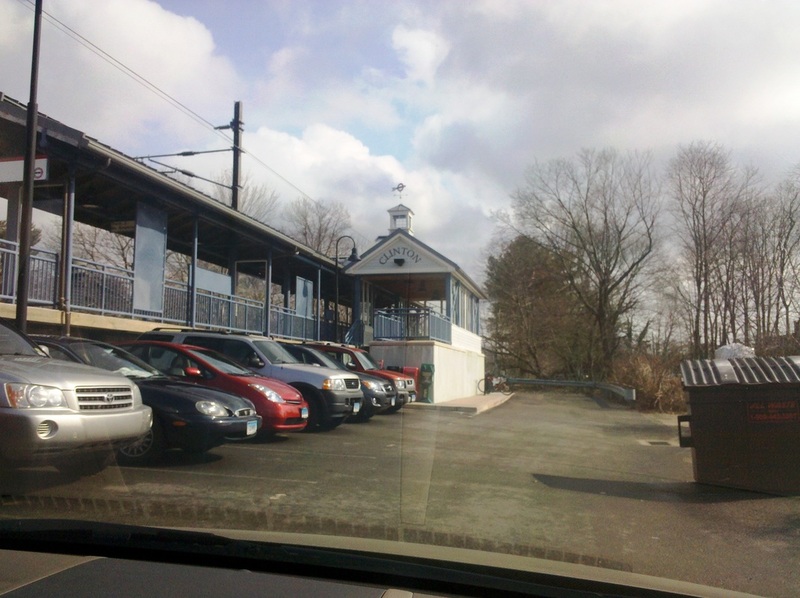 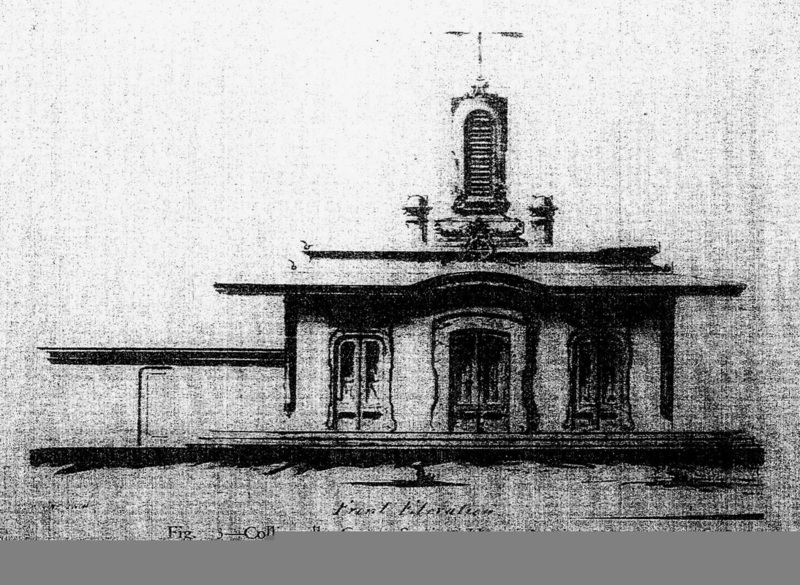 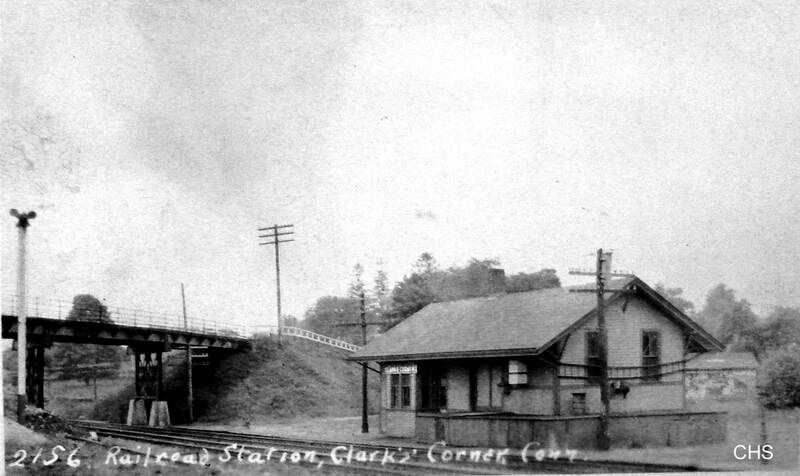 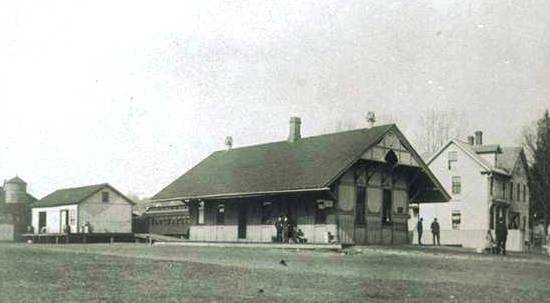 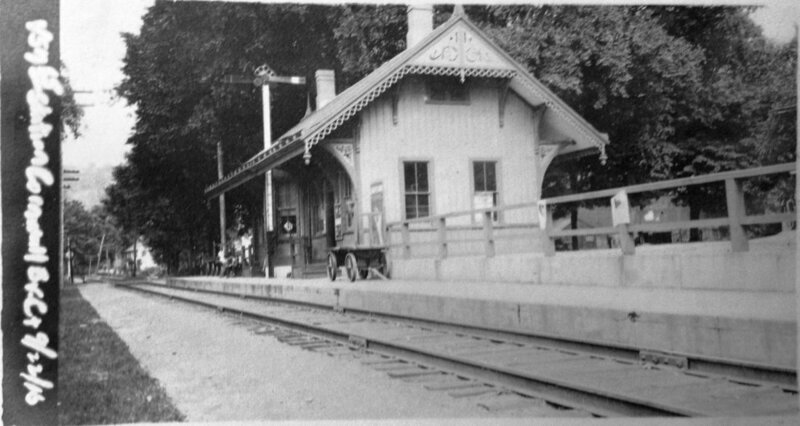 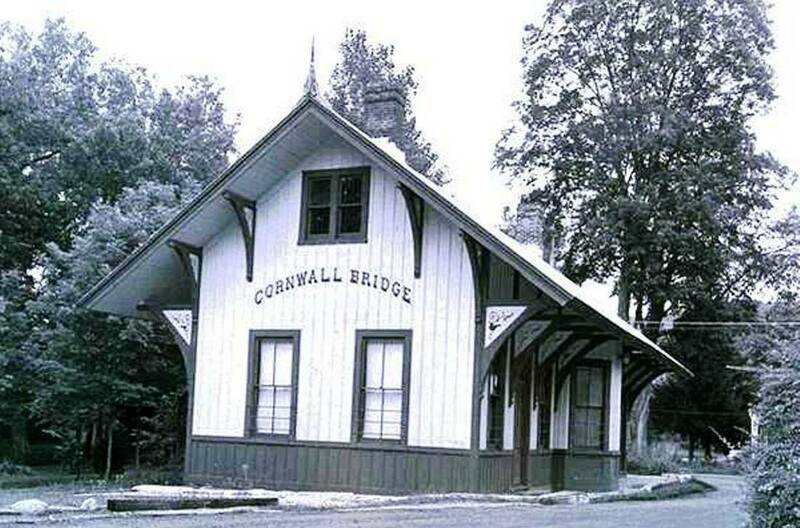 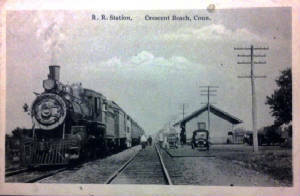 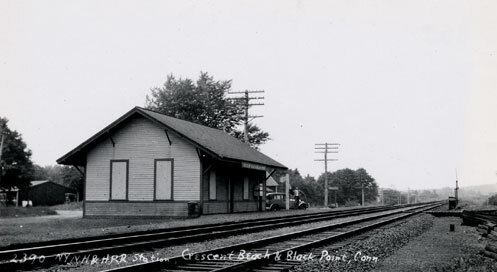 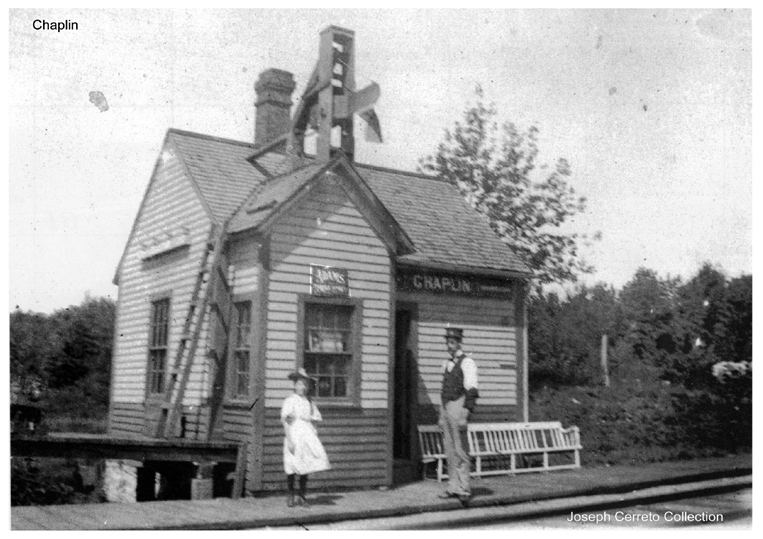 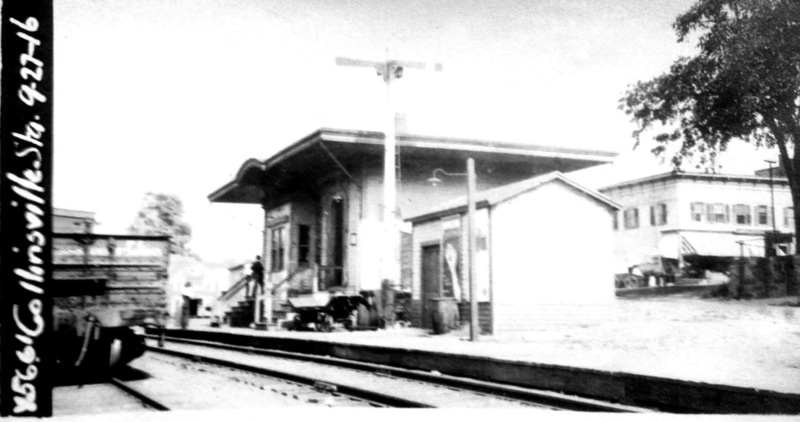 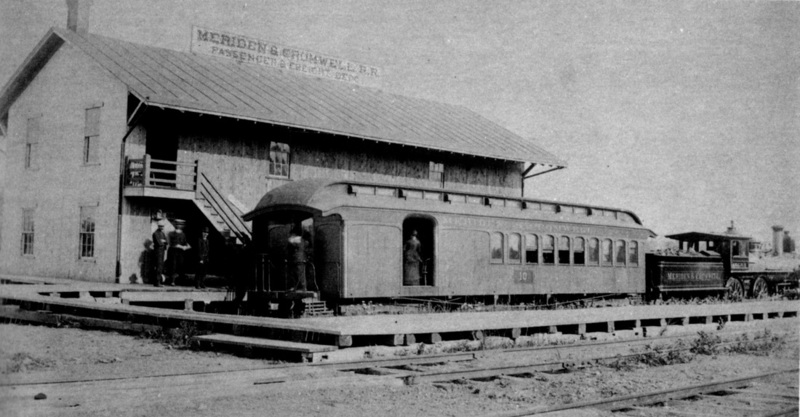 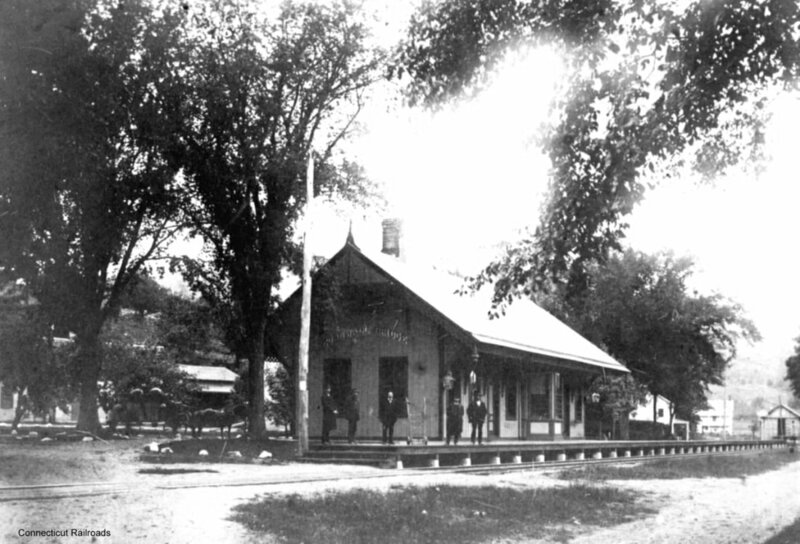 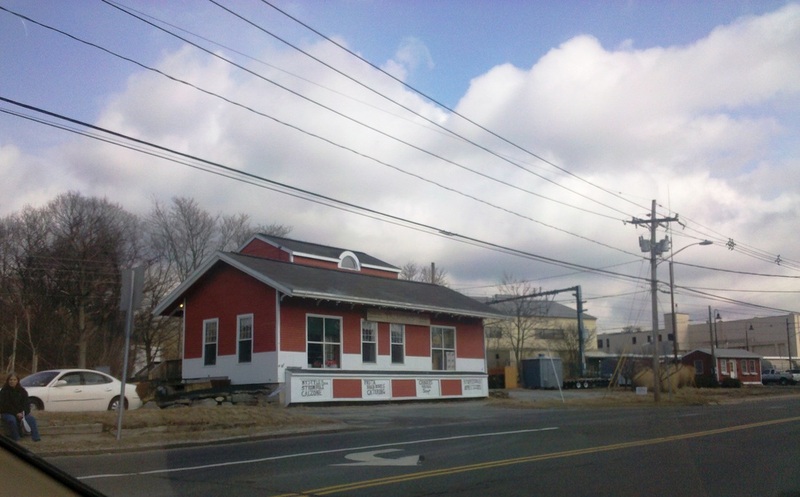 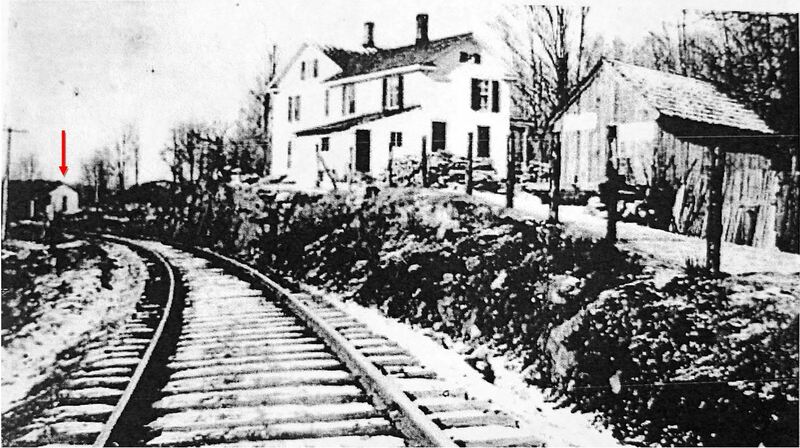 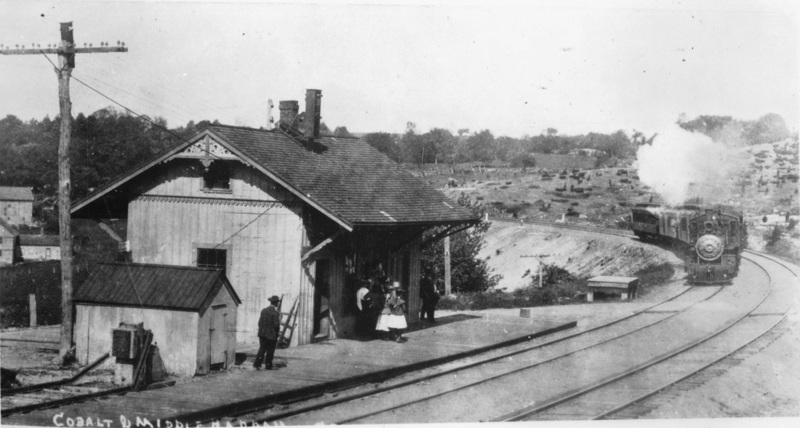 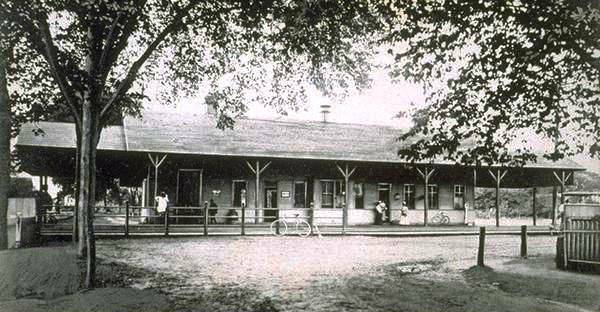 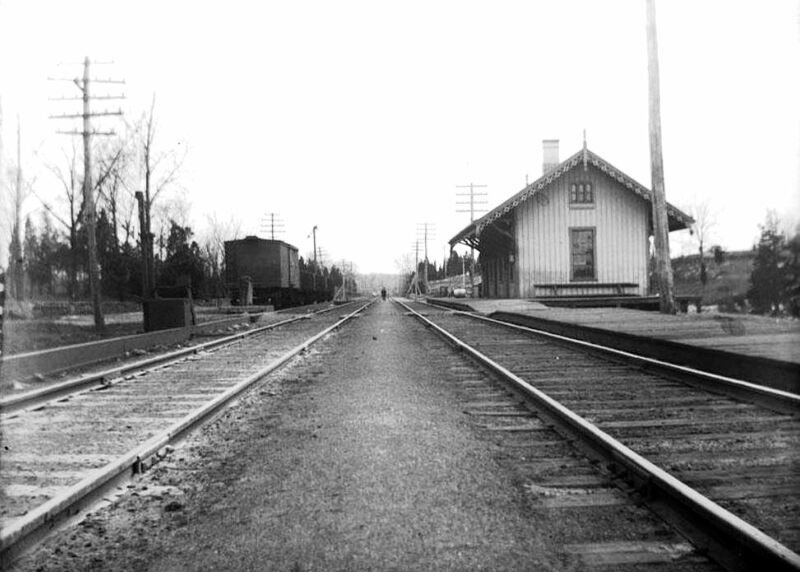 This was the 1885 station on the Meriden and Cromwell RR at the Connecticut River terminus. 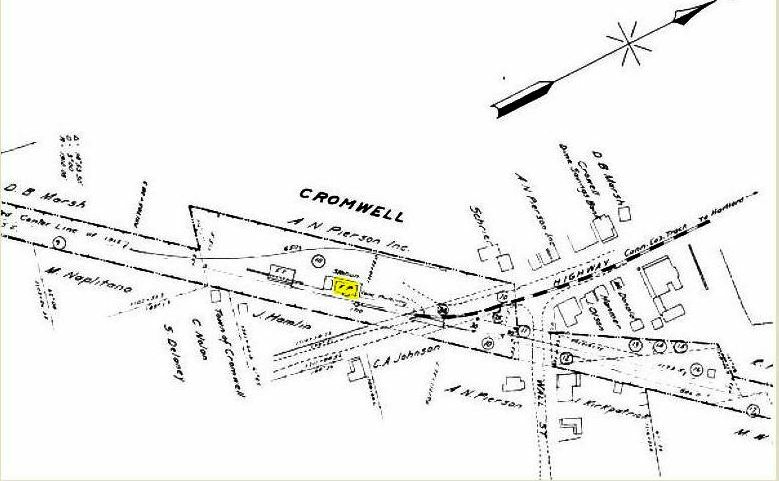 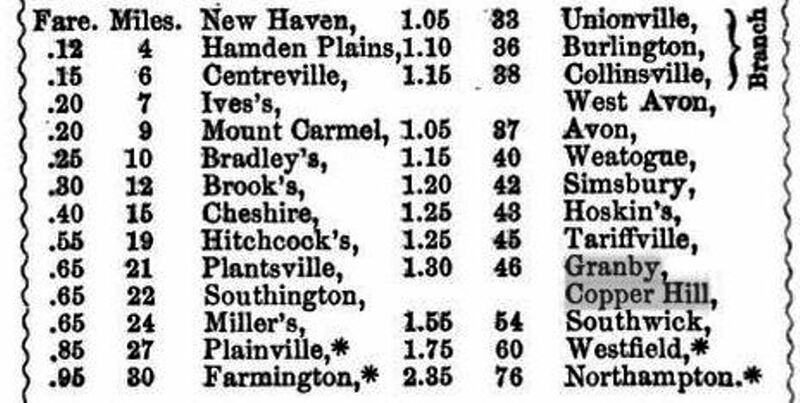 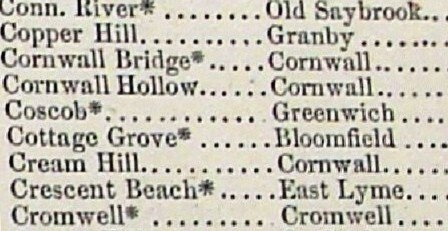 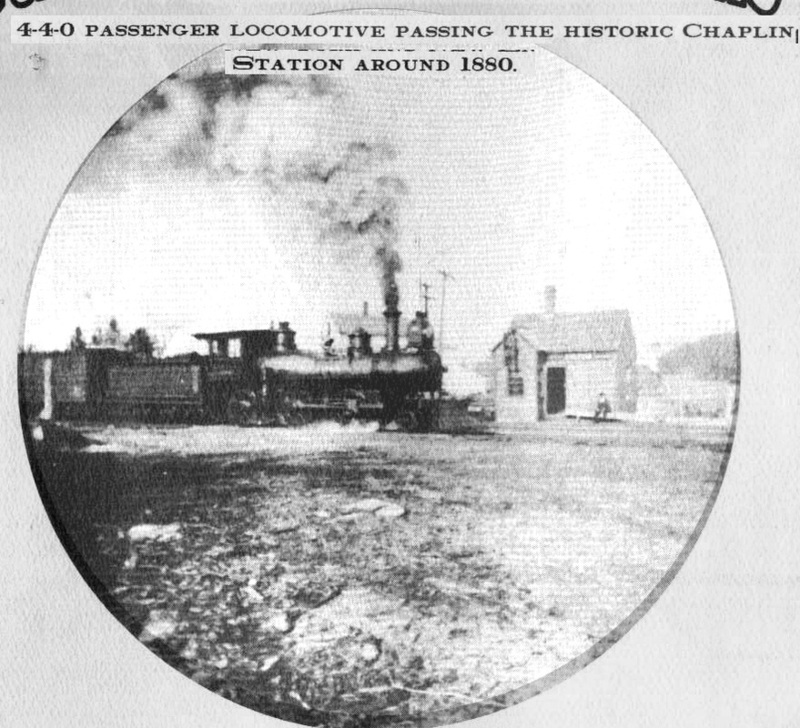 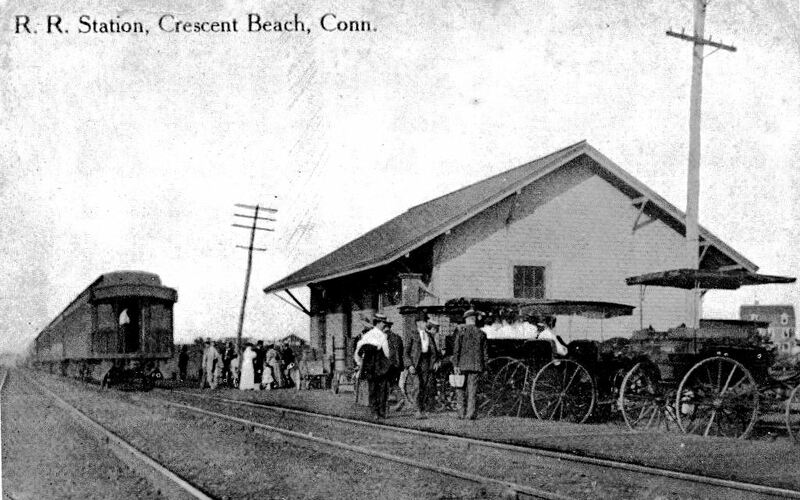 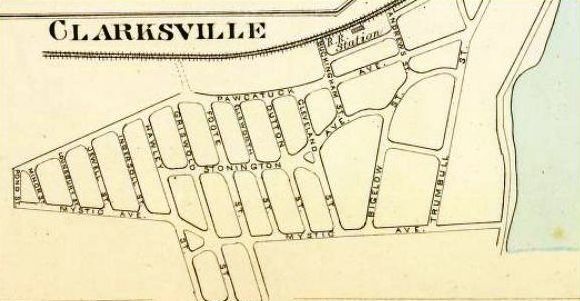 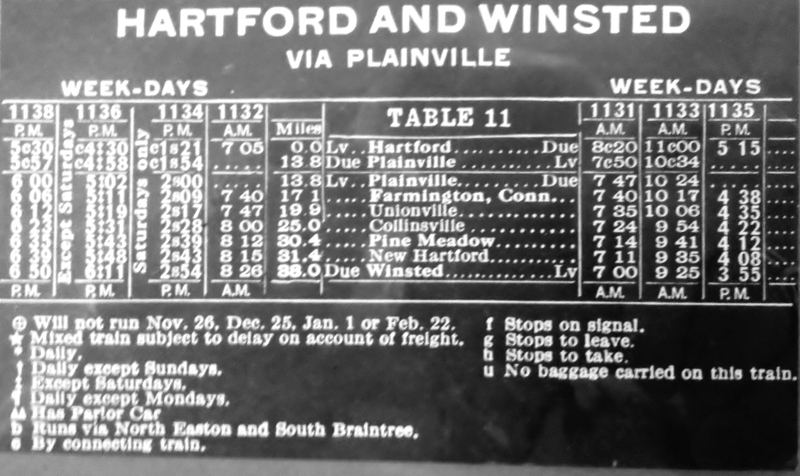 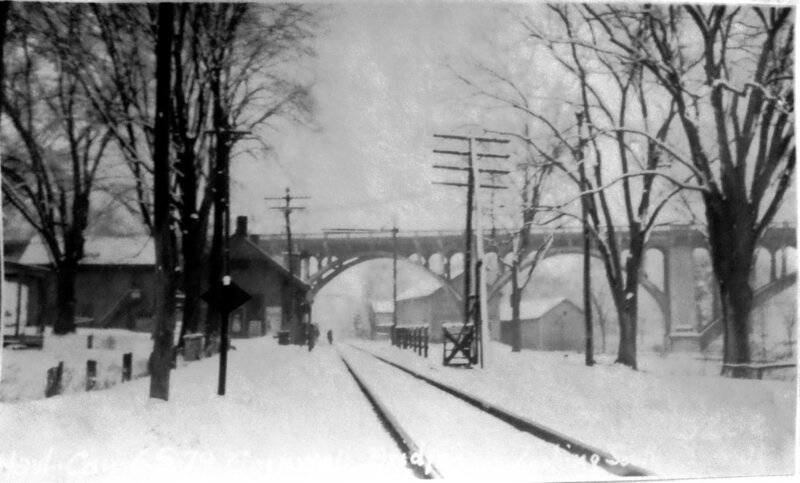 The Westfield-Cromwell portion of the line was out of service as of 1899 and the track removed in 1903. 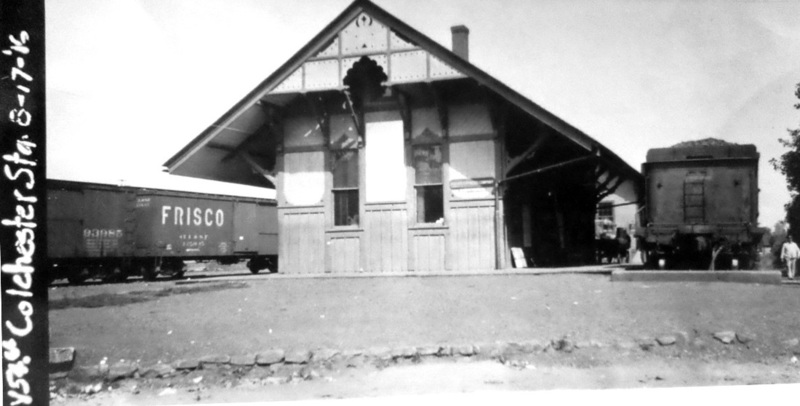 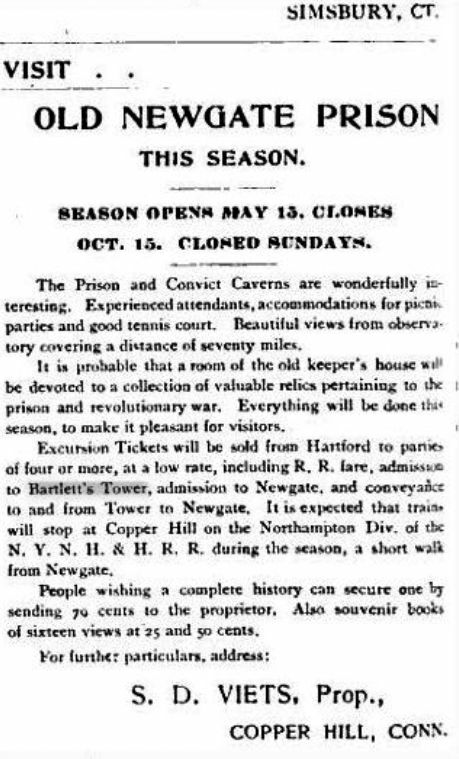 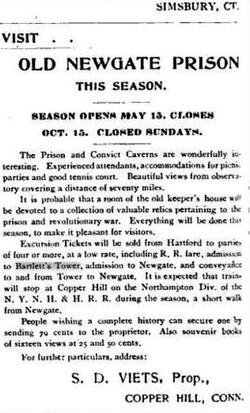 We do not know the fate of this depot.